John Ledbetter "Jack" Taylor was the first husband of Betty Jane Frank. Jack was killed in an aircraft accident during training at Mokuleia Air Field, Territory of Hawaii on 8 Jul 1944. 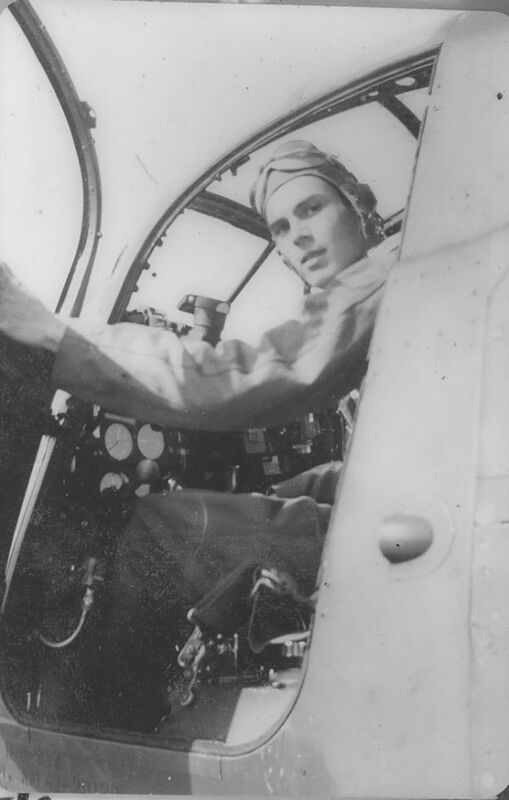 At right: photo of Lt Taylor in the cockpit of a P-39 Airacobra during training probably in Thomasville, Georgia. His wife and family called him Jack. 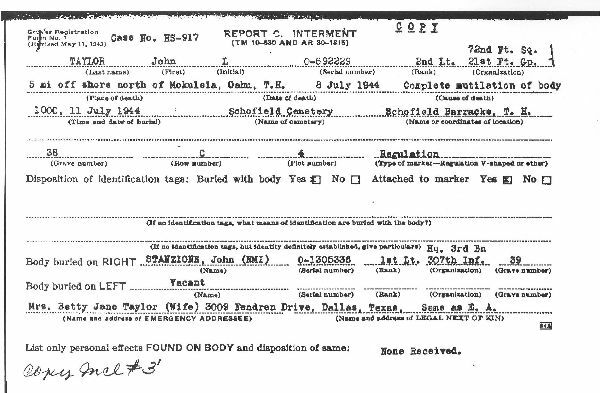 John Ledbetter Taylor was born 20 Nov 1919 in Delaware, Ohio to Richard Fowler Taylor and Kathleen Dowdell (Richard Fowler Taylor 1895-1932 died in an aircraft accident on 9 Sep 1932 in Clinton, Indiana - Kathleen Dowdell 1897-1991 was born in Warrenton, MO and died in Chicago, IL). Jack had one brother, Richard Dowdell Taylor 1918-1919 who died at 9 months old before Jack was born. There are pictures of Kathleen on this web page. I don't have any pictures of Richard Fowler Taylor. Ledbetter is Jack's grandmother's maiden name. For much of his youth, he lived in Indianapolis, IN with his parents. Jack's paternal grandparents were Richard Fulkerson Taylor and Mary (Mollie) L. Ledbetter. Richard Fulkerson Taylor was a lawyer (1880 census - law student and 1930 census - lawyer). The Taylor family was from Elizabethtown, Hardin, IL. Richard Fulkerson Taylor was fairly well known, a lawyer and a politician. Jack's maternal grandparents were Nathan Henry Dowdell and Julia Ann Lucas. That family was from Carbondale, Jackson, IL. 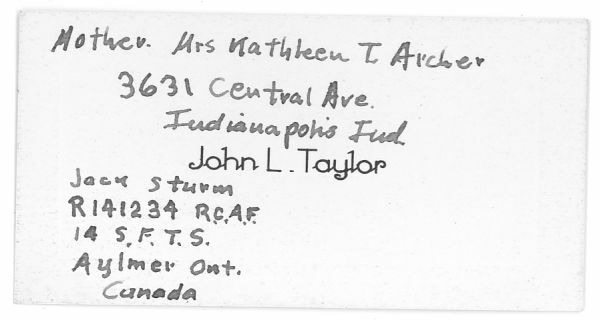 An address that I have for Kathleen T. Archer about 1946 is 940 E 69th Steet, Chicago, 19, Illinois. From SSDI records, Kathleen died on 21 Jan 1991 in Jackson Park, IL. 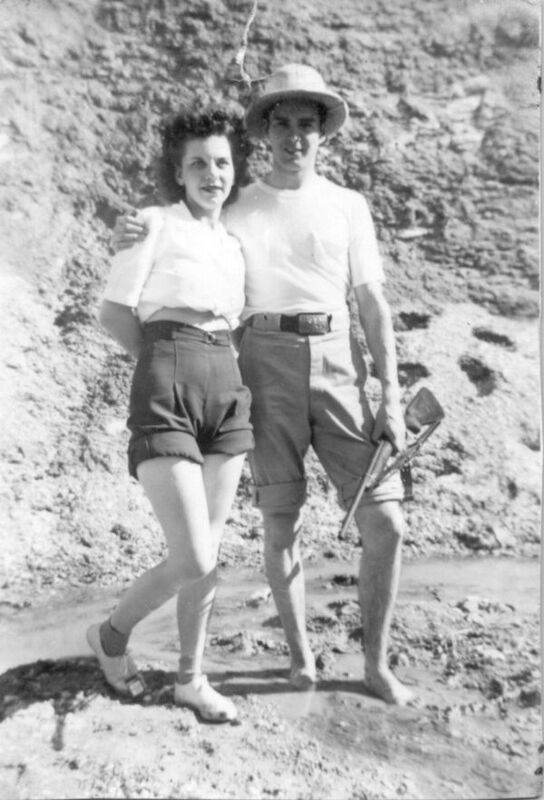 Betty and Jack were married in 1941 in Yuma, AZ. They did not have any children. During training, Jack was stationed in Eagle Pass, TX, Thomasville, GA and Tallahassee, FL. 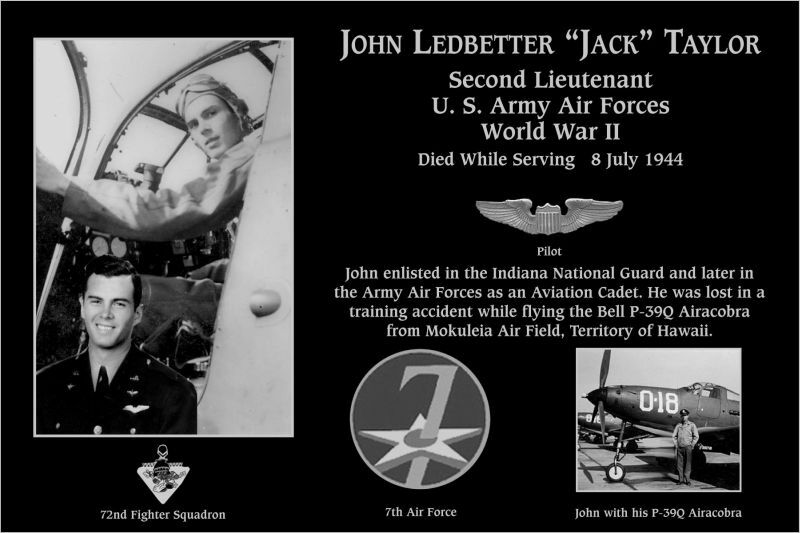 In Hawaii, Lt Taylor served in the 72nd Fighter Squadron, 21st Fighter Group, 7th Fighter Command..
Of course primarily, this site is a memorial to the memory of John Ledbetter "Jack" Taylor who gave his life for his country during WWII. Secondly, since Jack had no children or surviving siblings, I'm looking for other relatives or friends of his. Although Jack's wife, Betty Jane Frank, had remarried after Jack's death, she saved all of his personal possessions following his death. You will see many of these on this web page. Betty died in 2008 of Alzheimer's disease and Jack's memorabilia needs a permanent home. Betty and Fred Churchill (her second husband) never had any children either so there is no one to inherit this stuff. Betty and Fred, were good friends of my wife, Sally. Fred's family had saved stuff dating back to the Civil War which have now found good homes with his distant relatives and Historical Societies. Here is Fred's family story: Peden Web Site. Genealogical information from an ancestry.com family tree posted by j.m.adler charter.net. I'm now in touch with Julie Adler and she will try to help me find cousins of Jack. (I've added John Ledbetter Taylor and his mother Kathleen Dowdell to that tree.). I've written a letter to Dowdell's and Archer's in and around this area of Chicago but have not had any response. After years of searching, I've now found a first cousin of Jack. Gene Taylor is the son of Ben Taylor, Jack's uncle. Gene and Jack are the only two Taylor first cousins. You can read about that part of the story at the bottom of this web page. I have given all of Jack's memoriabilia to Gene. I've added some additional information to this page that learned from Gene. I've noted in the remarks which is the information supplied by Gene. Jack's Life Story - as much as we know it. 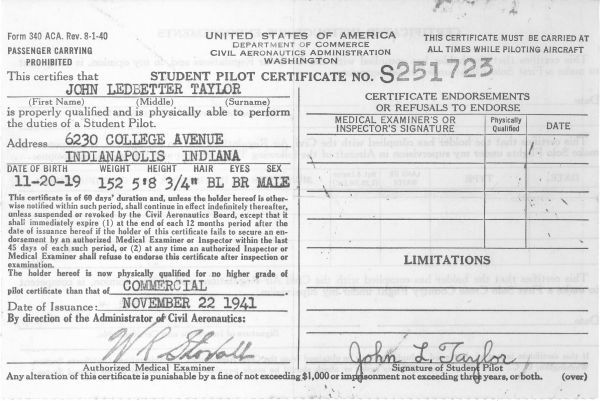 John Ledbetter Taylor was born 20 Nov 1919 in Delaware, OH to Richard Fowler Taylor and Kathleen Dowdell. 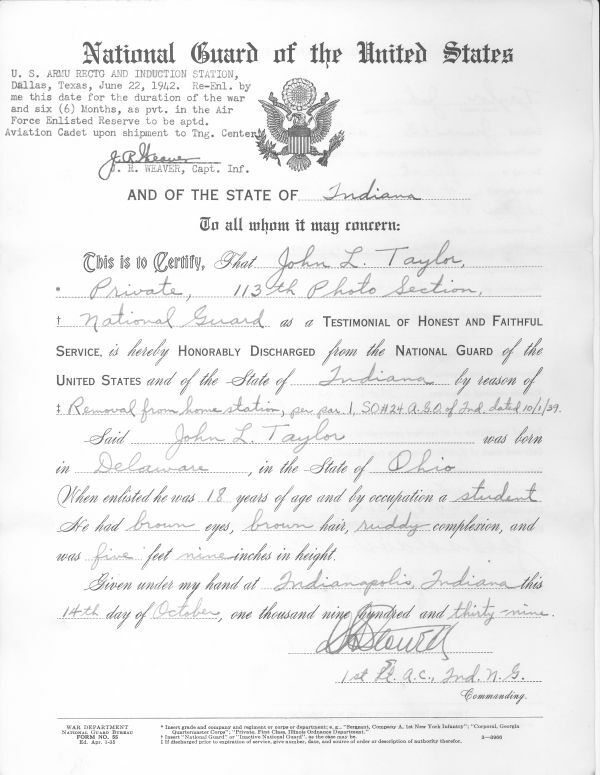 In the 1920 census from Delaware, OH, Richard Taylor's occupation was listed as "Travelling Salesman". The Taylor family was originally from Elizabethtown, Hardin, IL. 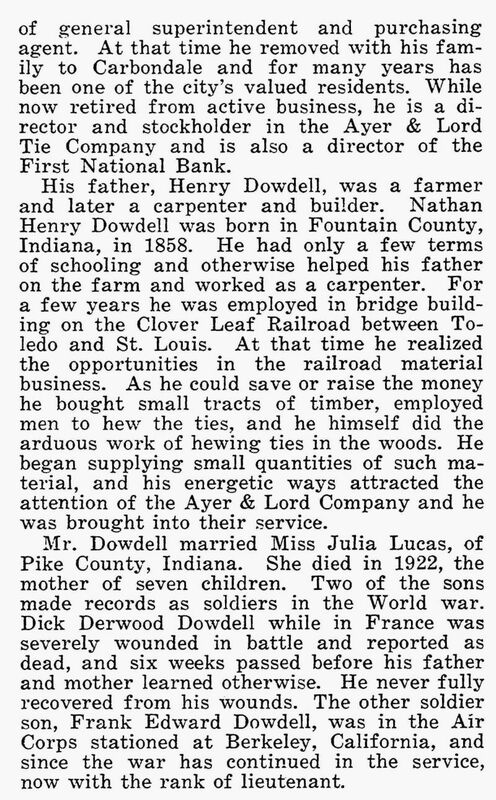 The Dowdell family was from Carbondale, Jackson, IL. 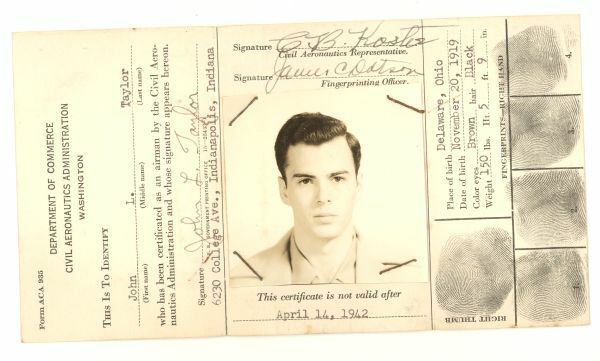 Jack attended Ohio Military Institute from 1933-1937. He attended Purdue University for one year 1937-1938 where he was member of R.O.T.C. He enlisted in the Indiana National Guard on 13 Jun 1938, into the 113th Photo Section - later called the 113th Observation Squadron. 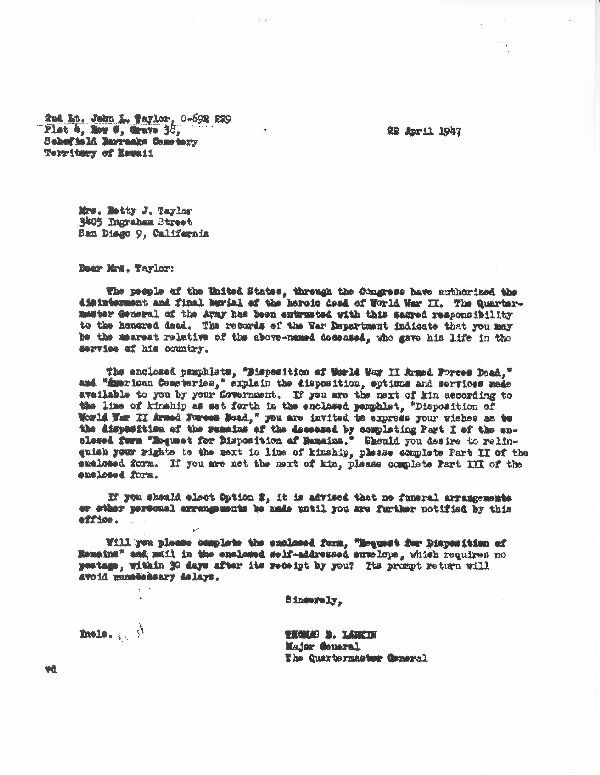 I've learned that Jack's father, Richard Fowler Taylor, was Commanding Officer of this Section prior to his death in an airplane crash in 1932. 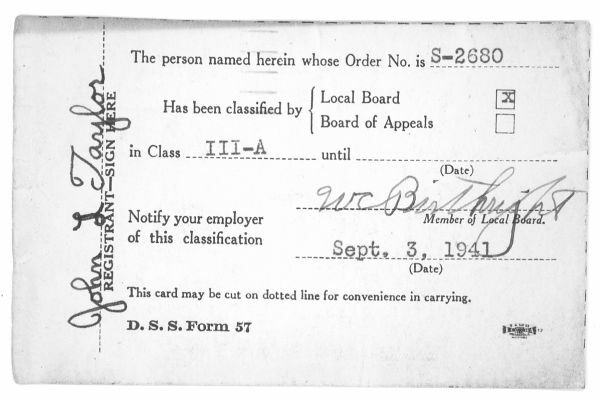 In 1939, Jack was discharged from the National Guard. In 1942, he enlisted as an Aviation Cadet in the Army Air Force. 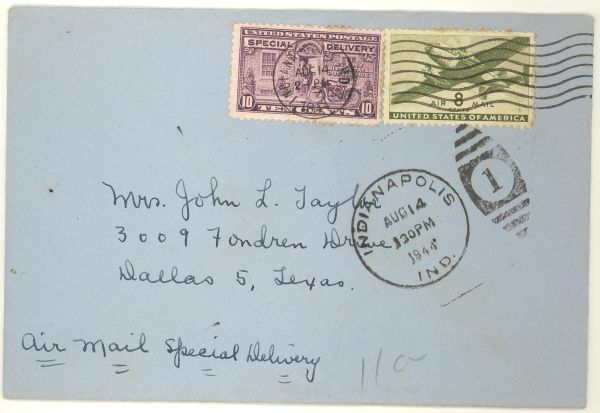 Jack received orders to report to San Antonio, TX on 3 Dec 1942 to begin training. 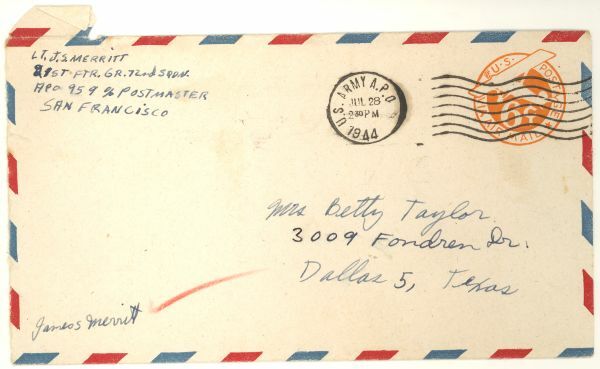 The letter is from the Induction Office in Dallas, TX. 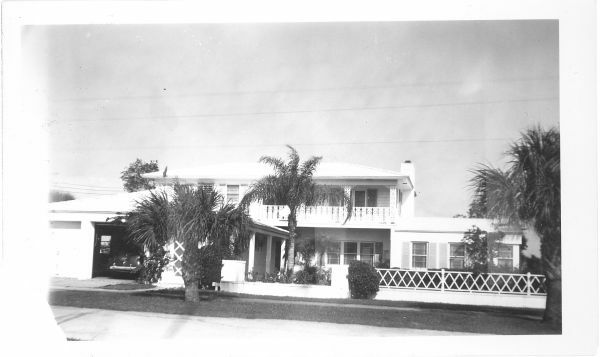 Written on back along with "New York Florida"
I don't know if this this is Jack's family house. It does look like it is in Florida. 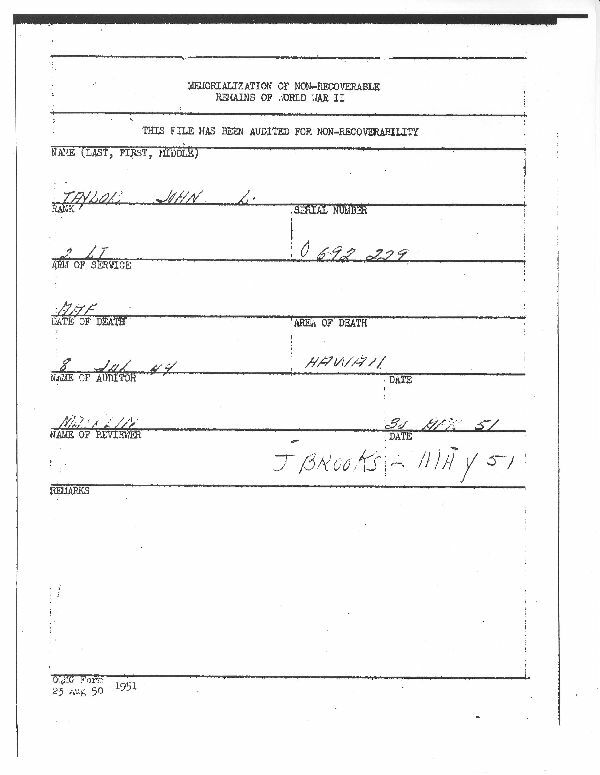 In Jack's Last Will and Testament from Oct 1943, his address is listed as Dale Mabry Field, Tallahassee, Florida. 1943 R.F. Taylor must be Richard Fulkerson Taylor, Jack's grandfather. 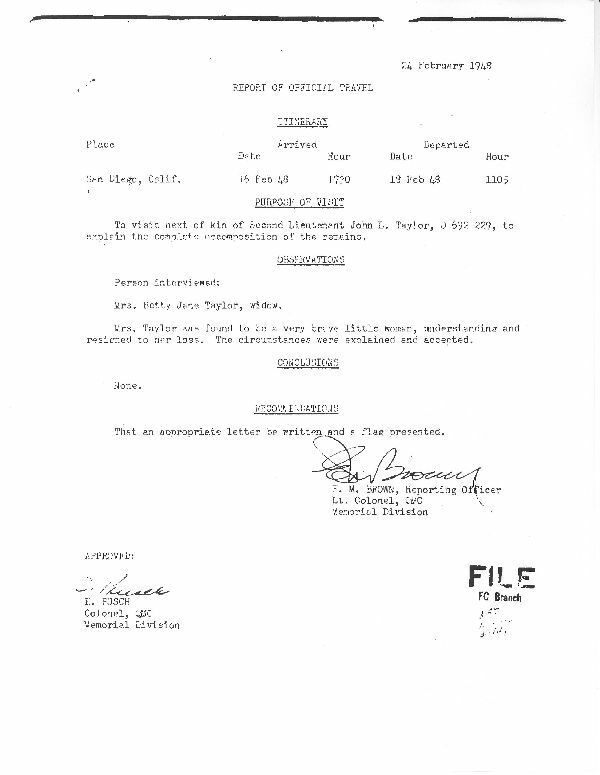 He is suing his children, Rebecca Eunice Taylor, Benjamin Herrin Taylor (and son Jean B. Taylor (really Ben Gene Taylor)), and John L. Taylor (possibly being that Jack's father, Richard Fowler Taylor was dead). 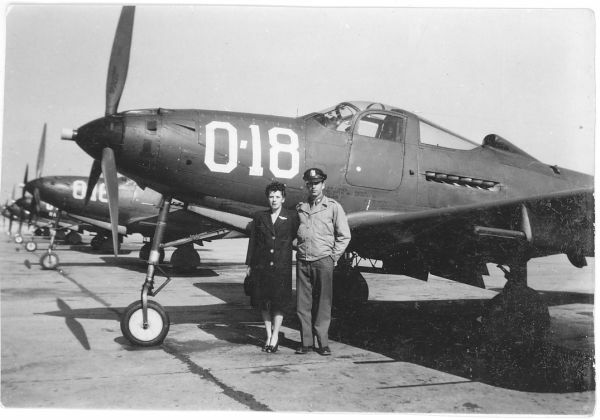 Betty and Jack in front of his P-39Q Airacobra. This is the same type of airplane that he was killed in. It's a P-39Q Bell Airacobra. Clearly a stateside training A/C because of the large numeral on the nose, which was a standard WWII convention for aircraft with advanced trainer/type orientation roles. You can tell this P-39 is a "Q" model by underwing gondola housing the .50 cal. machine gun. It's a Bell P-39 Airacobra. Note the placement of the engine aft of the cockpit. That was unique to the P-39 and its successor, the P-63 Kingcobra. P-39s were used by the Army Air Corps in the Pacific. Also, many of them were given to the USSR through lend-Lease. Betty visited San Diego in 1942. I think at the time, Jack Taylor was at the Ryan School of Aeronautics in San Diego. It appears that this photo was taken along the ocean in San Diego. 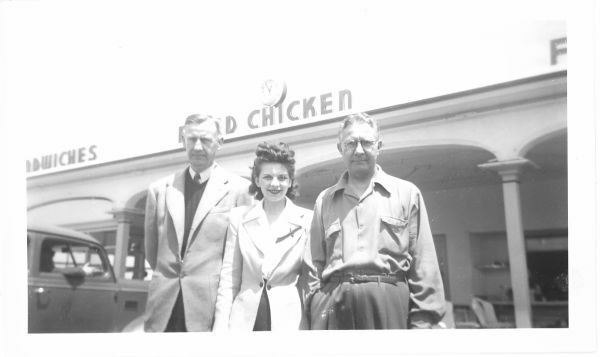 John Kolb, Betty Taylor and Uncle Fred. 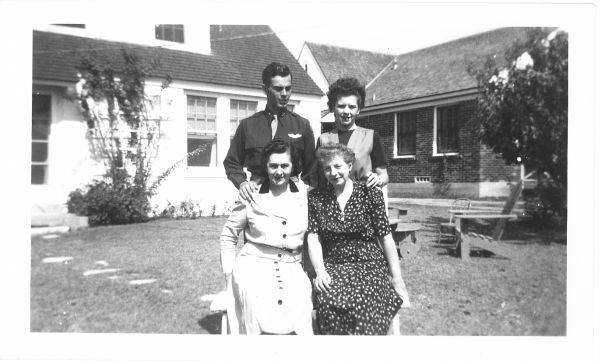 I know that Betty visited relatives in San Diego either shortly before or during the war. 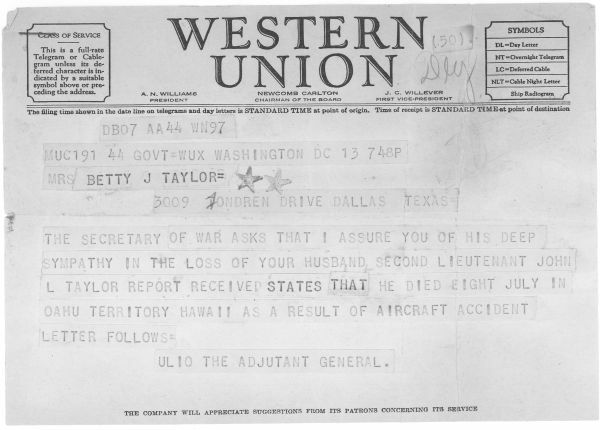 Lt Taylor reported to Hawaii in the spring of 1944. He was assigned to the 318th Fighter Squadron and then the 72nd Fighter Squadron of the 21st Fighter Group, 7th Fighter Command. That group was flying P-39Q Airacobra's until about Sept 1944. 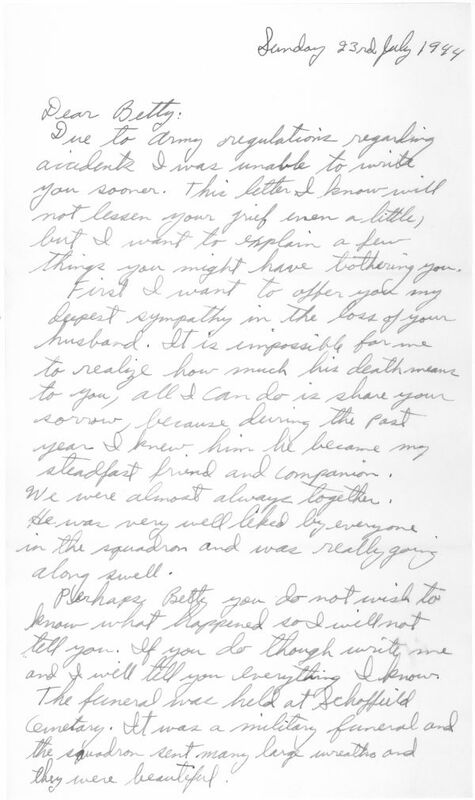 The last letter sent by Jack to Betty on 7 Jul 1944. He signed all of thse letters "Johnny". Jack was killed the next day. This letter says "I got to talking with an Allison tech representative today and came to find out that he used to be in the old squadron years ago when my dad was C.O. He knows Bob Shank and a lot of other people I do. He used to instruct at dear old Hoosier airport.". 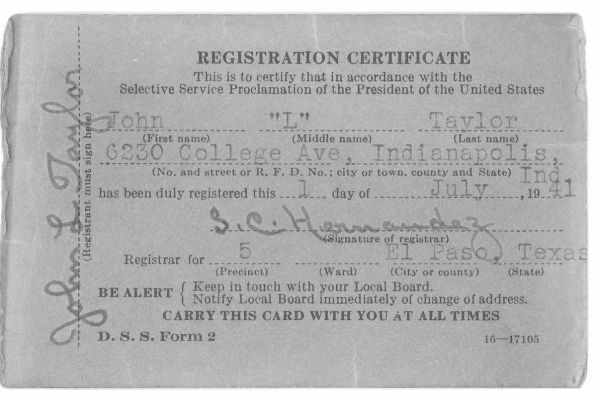 Both Jack and his late father, Richard Fowler Taylor, served in the 113th Photo Section of the Indiana National Guard. Richard Taylor was the Commanding Officer before his death in an aircraft accident on 9 Sep 1932. You have by now learned of the tragedy which befell John. Nothing that we fellow squadron officers of the 72nd Fighter Squadron can say will alleviate your hurt, if the knowledge that Jack had so quickly endeared himself to us is consolation, you may find your grief lightened somewhat. I was Jack's Flight Surgeon, Mrs. Taylor. During the year in which I have seen boys come and go from the squadron, John Taylor held more promise of greatness to come than any boy I had observed - ­and this promise stemmed not solely from his technical capabilities (with which he was generously endowed) but also from his stability of emotion, his understanding, his conviction and adherence to ideals. During the past month we had grown quite close. Together we played at my beach house, sun-bathed and talked afterwards. It was his custom to come up to my quarters at night to listen to the radio, talk flying and of what we had left behind at home. This squadron had served one tour of active duty. More are likely to come. I had looked forward to that time, confident that, Jack would at that phase of flying carve for himself an enviable record. Thus it was particularly disheartening to have circumstances which left his quick thinking, highly developed flying instincts power­less, bring to an abrupt end all this. There was no error on Jack's part. I have derived a certain attritive consolation from certain facts, my dear, may I offer them to you? With the most genuine love of flying that I have ever seen, Jack would have wanted it no other way, would, even, live his whole life over identically, knowing that it would end so. He suffered not one bit. I can even assure you that the split second before, he had no inkling of the next moment's disaster. Services were conducted as he was laid away at the Schofield Barracks Cemetery. The services were of the rigid military type but in no way marred the anguish we all felt that afternoon. If I can in any way whatsoever be of aid to you, I shall consider it an honor. John Taylor O-692229 was buried at Schofield Barracks Cemetery, Plot 3, Row C, Grave 38. The web site for that cemetery does not list him. See below for more about the burial location. Probably from when Jack attended the Ryan School of Aeronautics in San Diego. Kathleen Archer was Jack's mother. 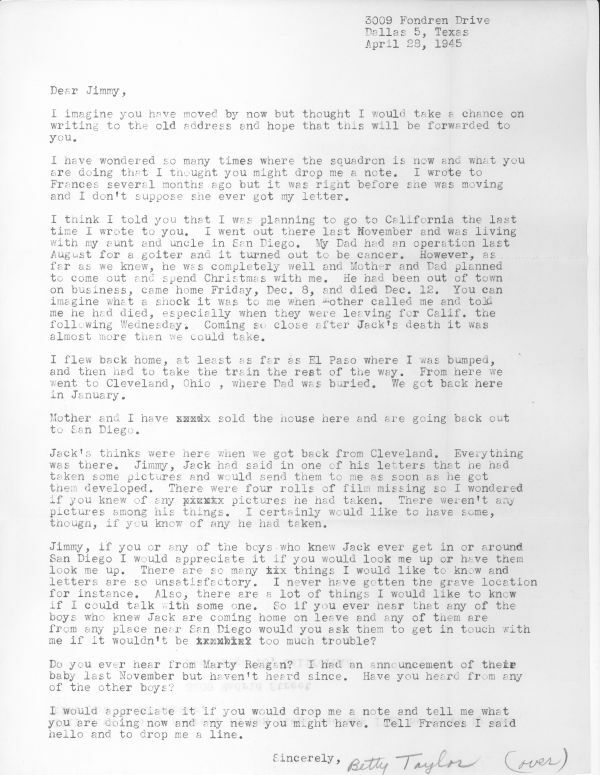 Betty received this letter from James S. Merritt, Jack's roommate in Hawaii. 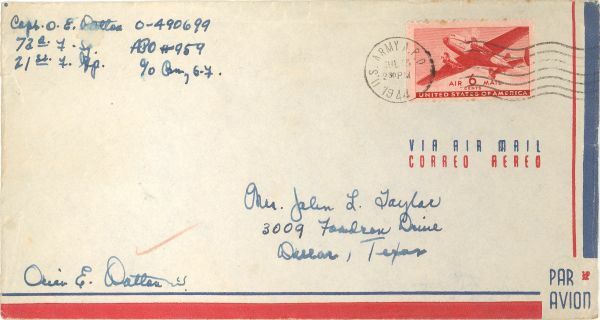 He was mentioned often in Jack's V-Mail letters. Entry in undated address book of Betty Frank Taylor Churchill: "Lt & Mrs J.S. Merritt, 2226 Newton St. 1035 Marion, Denver, Colorado." Names mentioned in above letters: John Maxwell and Joe Gregory. 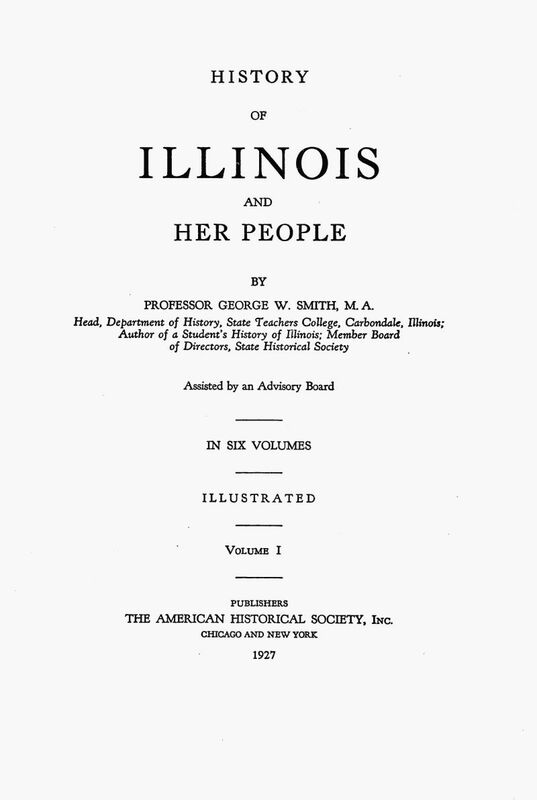 There was also a letter to Betty from Jack's aunt Polly - Mrs Robert Lee Darlington, 2215 East 69th Street, Chicago 49, Illinois. This is from the official Squadron History, July 1944, sent to me by Mark Stevens at the 7th Fighter Command Association. "More than likely though, a door was stuck or he was overcome by fumes before he could get out." This tells me that he was flying a P-39 with the automobile style side doors. Also, this is the first reference that the Squadron was starting to fly P-38's. So George Farina owed Jack $20. 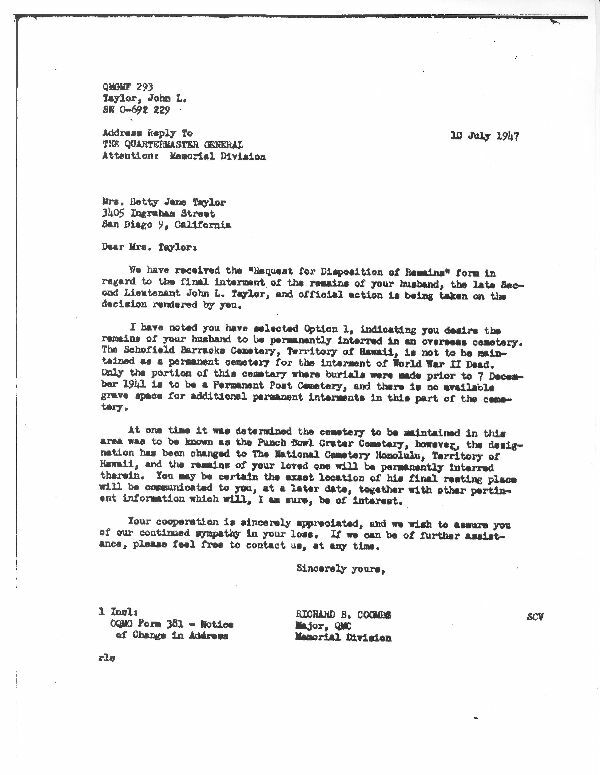 Other names mentioned in the above letters, Orien E. Dalton, Marty Reagan and George Farina. Entry in undated address book of Betty Frank Taylor Churchill: "George Farina, 6823 Amherst, San Diego". Entry in undated address book of Betty Frank Taylor Churchill: "Lt. & Mrs. M.J. Regan, 48 W Seymour St, Phiadelphia, 44, Pa."
Entry in undated address book of Betty Frank Taylor Churchill: "Mr. & Mrs. M.J. Regan, 11 N Ave, Bloomfield, New Jersey." Entry in undated address book of Betty Frank Taylor Churchill: "Mr. & Mrs. M.J. Regan, 1523 Fairway Pl., Lynchburgh, Va."
Michael J. Regan was a witness for a power of attorney drawn by Jack Taylor in 1944. I've found Martin J. Regan in the 1920, 1930 and 1940 census from Philadelphia. He was born about 1916 to Michael and Isabel Regan. He had a sister, Isabel, born about 1914. 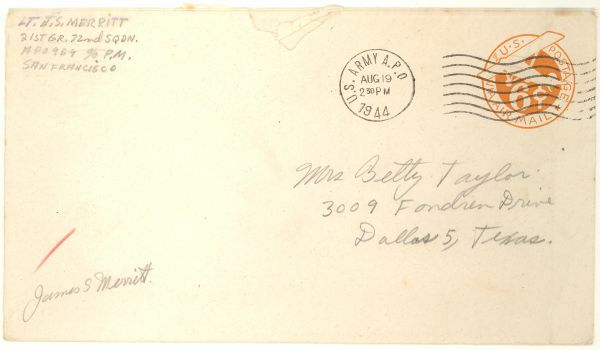 Last letter from Betty Taylor to James Merritt. It was returned, marked "Deceased". This letter was still sealed when I found it. I opened it in 2004. The four rolls of film never showed up as there were no photos of Hawaii in Jack's belongings. This is from the official Squadron History, December 1944, sent to me by Mark Stevens at the 7th Fighter Command Association. James Merritt was killed in a crash on 14 Dec 1944. So by December 1944, the Squadron was flyging P-38's. Other names mentioned in the above letters: : Frances (possibily Jim Merritt's wife or mother) and Marty Reagan. 1946 The Klepper Club was formed by Frank Klepper (1890-1952) in Dallas. It was a club for sketch artists. I don't know who Catherine Eitelman is or why she did a portraint of Jack Taylor. Here is an on-line article about Martha Simkins who was also part of the Klepper Club in Dallas. My husband and I Googled "Catherine Eitelman" last night and found your web pages. I could hardly wait to e-mail you, because she is my Grandmother. My father is Jim Eitelman, Jr. who is Catherine's son. I would like to help you receive more information if I can. And, I would sure love to know more about any artwork that you have of my Grandmother's. I do not know about Mr. John Ledbetter "Jack" Taylor, but as soon as I can, and I am hoping to this evening, I will call and talk with my Dad and see if he has any information that would be helpful for you. My husband and I were both very impressed with the web page that you created in memory of Mr. Taylor. That was probably one of the best we've ever seen. Anyway, if you would just let me know what information you would like, I will do what I can to help. And, if you would like to share anything about the artwork of my Grandmother's, I would sure appreciate that. I was hoping that someone with a connection to Catherine would contact me eventually. My wife and I started about 8 years ago to sort all the memoriabilia of Fred and Betty Churchill. Since they died, leaving no heirs or close relatives, we took it on ourselves to try to find people connected with their family. 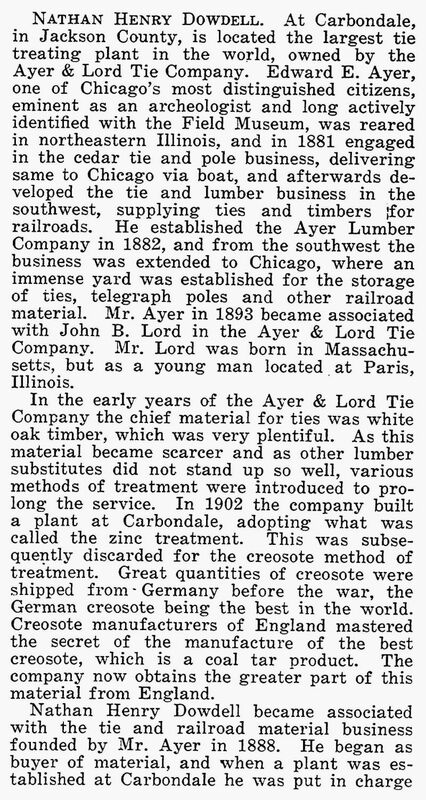 The web site where you saw the newspaper clipping was one that I did for Betty Churchill's first husband, John Lebedder "Jack" Taylor. The "Portrait of Jack" was always a mystery to us and even more so was the painter, Catherine Eitelman. I had also searched on the Internet but I could not find any information. I don't know the whereabouts of the painting or even if Betty ever had it herself. We do have the original photograph that the portrait was done from. 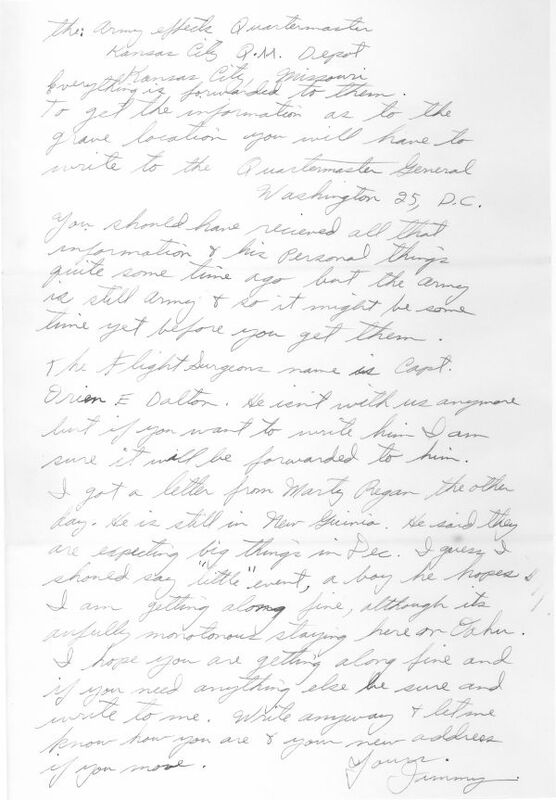 We don't have any idea what the connection was between Betty and the Eitelman family (though I did find that one entry in her address book for your father, Jim Eitelman). When Betty Taylor Churchilll died late last year, I noticed something that I had never noticed before. Betty had a portrait of her father, Harry Frank, and it was signed by Catherine. If you have time and would like to write up a few paragraphs about the life of your grandmother, I would like to add that to my web page. 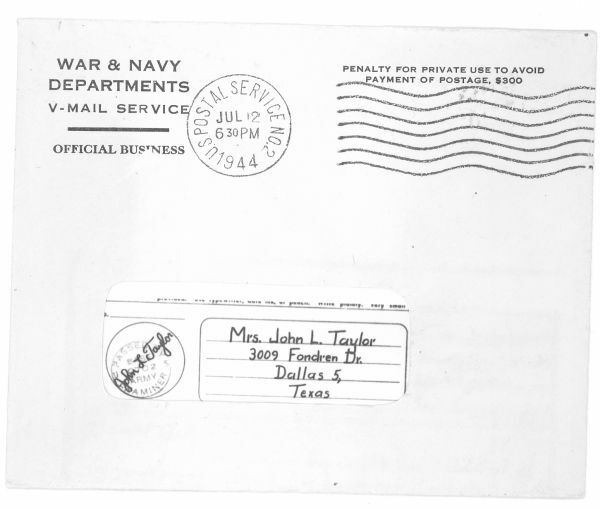 Especially of interest would be any information that you or your father might have that connects your grandmother with the family of Jack Taylor. Again, thanks, and I'll be looking forward to hearing from you. I have talked with my Dad, and he knows all about the portrait of Jack Taylor. I will forward to him the information that I have regarding this. I think that he would like to write something about my Grandmother for you. He would be the best one for that job. He is interested in any info that you have of the portrait of Harry Frank, too. He wasn't sure if he knew about that one. My Dad also has a photograph of the painting of Jack Taylor. I would like to send you or your father the portrait that we have. There is only one. I thought for a while that we had more but we do not. Jack Taylor's wife, Betty, was a close friend of my wife. Betty never had any children and has no close relatives left. When her second husband, Fred Churchill, died in 2000, my wife and I started a web site for his family "Peden". Betty died in 2008. They were a family of 'savers' and saved all sorts of things. If you look at the Peden web site at: http://www.silogic.com/peden/peden.htm , you can see the list of photographs and other memoriabilia that they saved and that I managed to find good homes for. I've attached two photos. They show the painting by your grandmother of Harry Allen Frank, Betty's father, a family photo from about 1943, and the photo from which your grandmother painted the "Portrait of Jack". They are all for you. I'm still looking through the boxes of stuff for the newspaper clipping. I don't know when the portraits of Harry or Jack were done. Harry Frank died on 12 Dec 1944 and Jack Taylor died on 8 Jul 1944. I would guess that Jack's portrait was done after he died and was done from the photo. I can't say about Harry's portrait. As a genealogist, I'm interested in connections between families be they relatives or friends. Apparently, Betty's family knew the Eitelman family as friends. There was that entry in her address book of "Mr. & Mrs Jim Eitelman" but I don't know if that was your dad or your grandfather. I have found a Texas death certificate from 1969 but I'm not sure if it your grandmother. Catherine must have thought highly enough of Jack Taylor as a friend to do the portrait. And if was after his death, it may have been in memory of him. So that is my biggest goal, to find out why Catherine might have done the portraits in the first place. I would only put information on the web page that you feel comfortable in sharing. My Grandmother passed on when I was still quite young. I have vivid and good memories of her, but I do not know all about her life. I have wonderful memories of my Grandmother. She was very good to my sister and me. She and my Dad were however very close, so he is the best one share specifics about her. I sure appreciate the photos, however, you do not have to give me anything. I'll leave that to between you and my Dad if you want to mention it to him. I wish that we lived closer as I would love to just see the paintings. We are in Colorado and my Dad is Texas. Also, the entry in the address book is probably my Grandfather. My Dad has his name and is a Jr. I will call and/or e-mail my Dad again today. I'm happy that you will get some information that you have been waiting for. 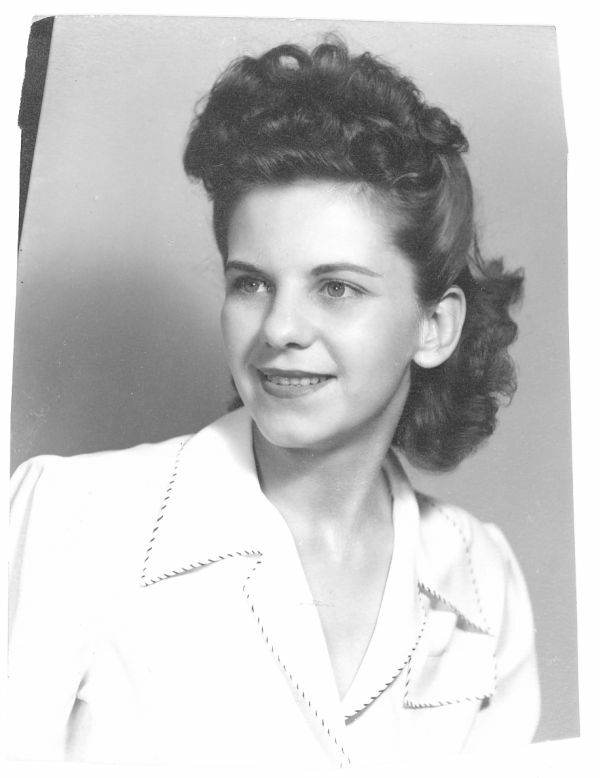 My mother, Catherine Victoria Lorraine (Cochran) Eitelman, was born in 1906 in Waxachie, Texas. and passed on in 1969 in Dallas, Texas. She studied life drawing and portrait painting with Martha Simkins. She was a member of and exhibited with the Frank Klepper and Frank Reaugh art clubs here in dallas. She won first place for portraits several times. If you wish to send me your mailing address I will send you photos of some of her other portraits. I am curious as to the subject of the Catherine Eitelman painting other than Jack Taylor that you are aware of. Do you have a photo of it? Are you aware of how Jack died in the Bell P-39? Thanks for your email and good to hear from you. I've been doing genealogy research on (mostly) my family for the past decade or so. When I run out of things to do, I branch out into other families. That is why I have this information about your mother. I met two friends of my wife, Fred and Betty Churchill, about 1999. Both were in their 80's. They had been married for 50 years. They never had children. Those web pages included Betty's family, although I had a lot less information about her family. As the years moved forward, Betty got Alzhiemer's disease and she died late last year. I had, in the meantime, added a lot of her information to the web page. 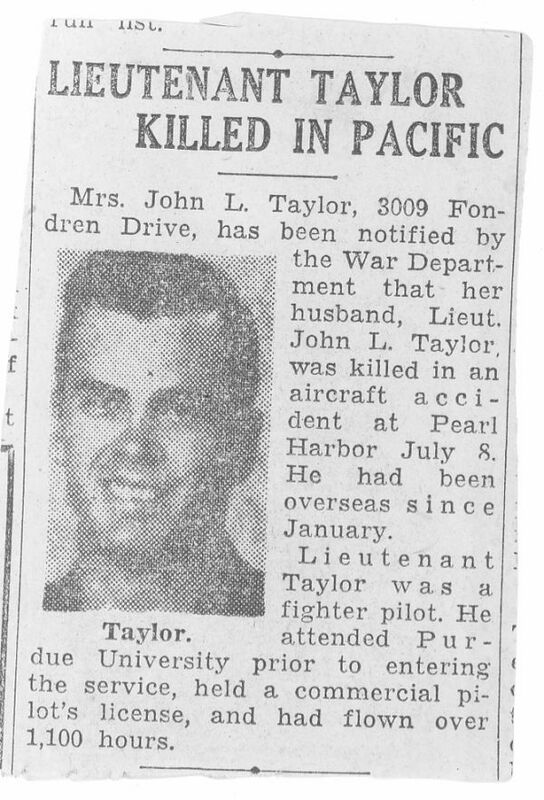 This included the web page for her first husband, John L. "Jack" Taylor, who was killed during service in WWII. Going through all of Betty's stuff, it took a while to understand what was what. In the case of your mom, we had the clipping from the newspaper and then I noticed the painting of Harry Allen Frank (Betty's father) done by your mom. Searching on the Internet did not turn up many clues so I added the information to John Taylor's web page and posted a few messages -- then waited for any replies. Then a few weeks ago, I got the email from your daughter, Vickie. It was the first email that I received about Catherine. Since Fred and Betty died without children or even first or second cousins, my wife and I have attempted to find good homes for all the photos and memoriabilia that they saved. We have been fairly successful in that much of the stuff has been donated to historical societies in places that their families lived. Since Betty was an only child and had no close relatives, I believe that your family would give this painting of Harry Frank the good home it deserves. I'd like to send it to you. In return, if you would think its ok, I would really like to add some biographical information to my web page about your mother. But that is entirely up to you. My goal, from a genealogy viewpoint, it to try to find out why your mother did portraits of Jack Taylor and Harry Frank. What is as commissioned work or was it because the family were friends? Its the family connections that interest me. As I said, I've attached a couple of photos to this email and I'm sending a copy to Vickie. Vickie and I are both grateful for your interest in Catherine Eitelman as related to the portraits you have mentioned. You have offered us the painting of Fred Churchill which we would truly like to have. Do you have the one of Jack Taylor? Vickie has a sister, Laurie, and I know that each of them would be thrilled to have one of their grandmother's portraits. We will certainly be happy to pay for any shipping expenses incurred. And yes, add any of the biographical information about my mother to the web site that you think appropriate. I think the Churchills were fortunate to have you and your wife as friends. P.S. My mother was commissioned to paint the portrait of Jack Taylor from a photograph. I do not know the circumstances surrounding the Harry Allen Frank portrait. J.E. We do not have the portrait of Jack Taylor. Don't know what happened to it. The newspaper clipping of your mother's exhibit at the Klepper Gallery was the only bit of information that we had. Do you have any information about the commissioning of the portrait? Like who commissioned it, the cost, when or why it was done? That would be interesting information. If you send me your mailing address, I will send the painting to you along the two photos that were in the photo I sent you. We will take care of the postage, its all part of our efforts to find good homes for the memoriabilia. The surname "Frank' does not ring a bell but it is my long stretched memory that Betty Taylor's mother commissioned my mother to paint it. Somehow the name Bessie Larson comes to mind. Have you run across that name? It's just a hunch. Perhaps Betty's mother knew my mother or they had a mutual friend who recommended mother. I have no information on the price but I would guess about 100 dollars. The reason for the commission was as a present for her daughter. So sorry that I have no concrete information. If you want to know more about my mother's family I can supply it. In August of 2009, Jim sent me a photo of a portrait of his mother. 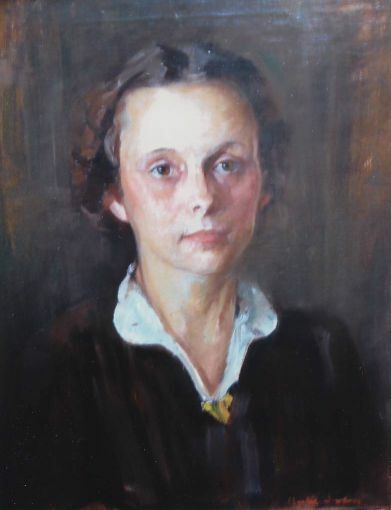 This portrait was done by Martha Simkins about 1942. 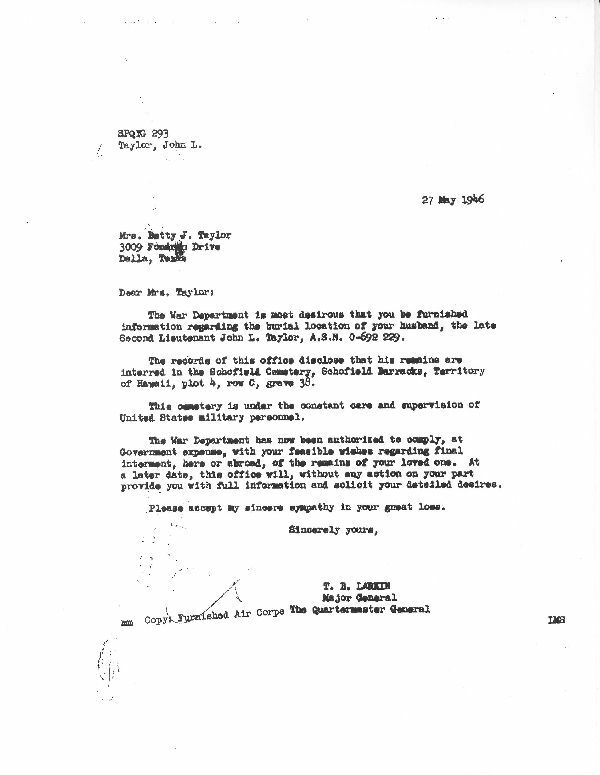 After the war, Betty got a letter from the War Department, which I think was common. It asked if she wanted Jack's remains buried in a National Cemetery or returned to the family. I don't have that original letter (I'm showing here the copy that I received later with Jack's 293 file) but I have her response. I don't have any more letters after this so I don't know where Jack is buried now. 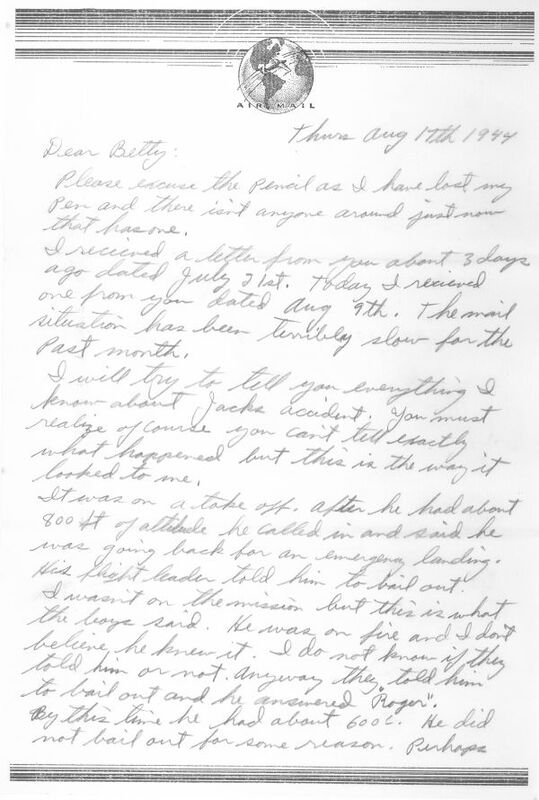 I found this letter to Betty from Jack's aunt, Polly (Ester Mary Dowdell) Darlington, dated 20 Mar 1949. "I was so upset over the task you gave me to perform that I was ill for several days. I have thought it over Betty and also discussed it with Bob and we both think it is best not to tell Kay about Jack's body. Someday perhaps but not yet. Just at the present time she is happy and I just don't think it is wise to break this news to her. I know the reaction I had and it would be so much worse for her. So don't you worry, sometime I will tell her." Kay is Kathleen Dowdell, Jack's mother. We know that Polly is Jack's aunt and I'm fairly sure that she is Kathleen's sister. Census searches show an Ester M Dowdell, who might be Ester Mary Dowdell, who might be this Polly. So Betty found out something in 1949 about Jack's body but we don't know what. There is conflicting evidence as to whether Jack Taylor's body was recovered. 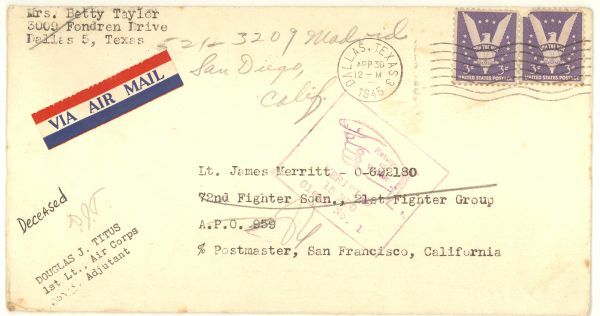 There are three letters above, one from James Merritt who wrote in 1944 "The plane hit the water and sank. The crash boat arrived about 20 minutes later and recovered the body." Based on that comment, there should be a burial site. The second from Orien Dalton which said "Services were conducted as he was laid to rest at the Schofield Barracks Cemetery". 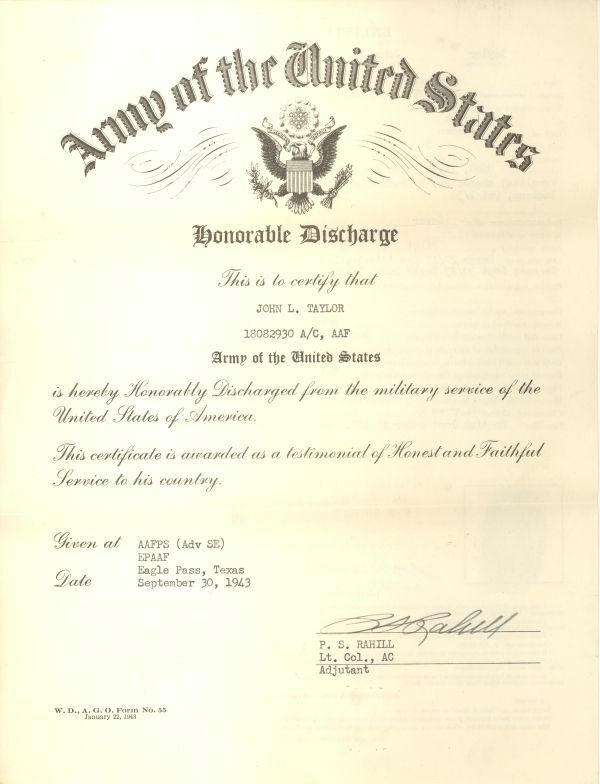 The third letter, from the Department of the Army in 1947 actually listed his grave site (Plot 4, Row C, Grave 38) at Schofield Barracks Cemetery. 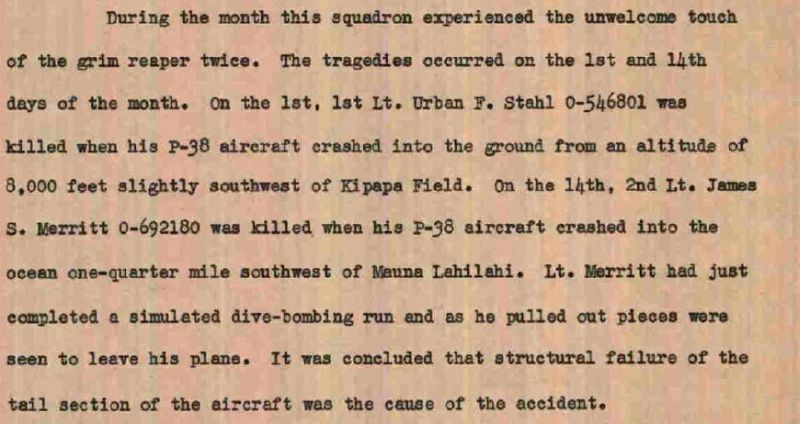 The squadron history stated he "crashed into the ocean five miles off Mokuliea (sic) Field. Taylor was not seen to bail out before the plane struck the water and exploded". If he crashed that far out to sea, I don't think it would be likely that a crash boat could get there before the plane sank. At the Schofield Barracks Cemetery web site, John Taylor is not listed. You have done so much work. Great photos and documents. It is interesting that he was buried at Schofield but he isn't listed there. I will contact Schofield and see if I can figure out what is going on there. I know the base historian and he may be able to help. To answer your earlier question about where I get this info. 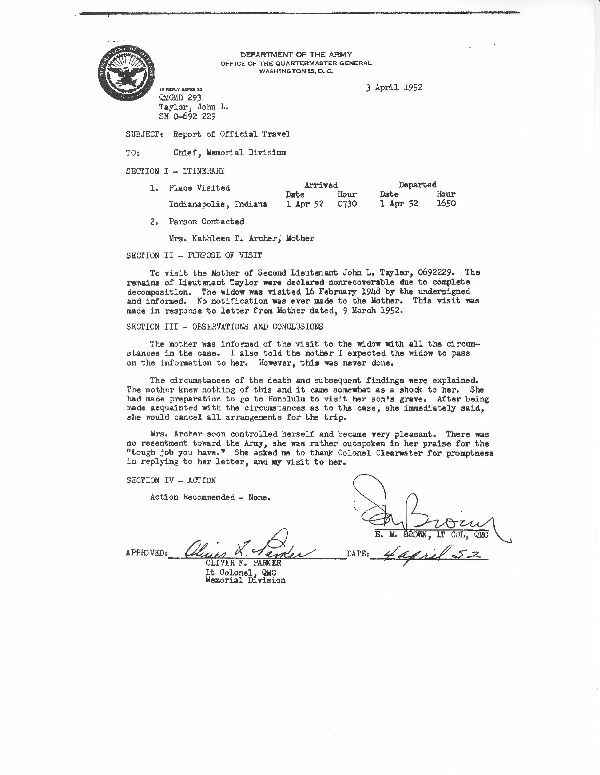 I have all of the Squadron's records in PDF format taken from microfilm that I got at Maxwell AFB. I am still in the process of writing them all up in MS Word, so all I can send is the snapshot of the record. My guess is that Jack may have been reburied at Honolulu Memorial and is not properly indexed. Let me know how else I might help. 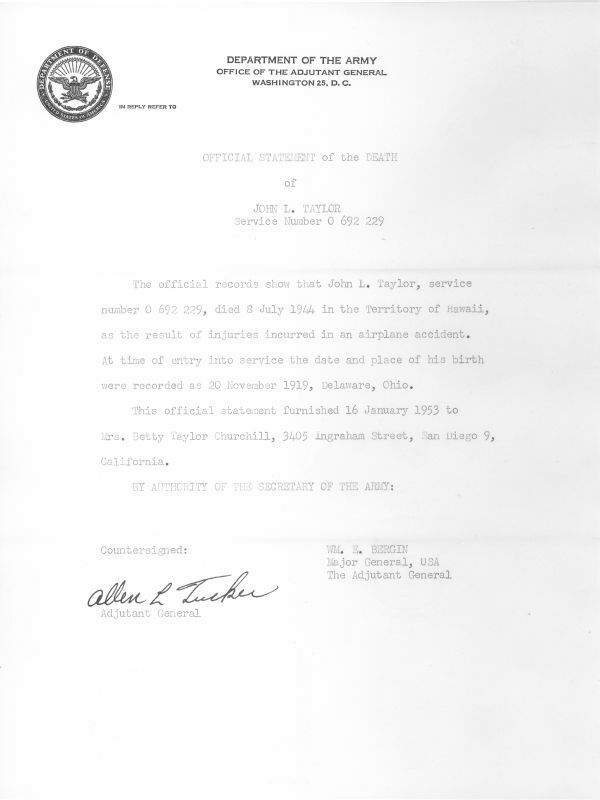 Mark Stevens sent an email to the Chief PACAF Historian at the Schofield Barracks Cemetery. We were asking for their help in determining if Jack's body was recovered or not. - Ms. Ramsden at the 25th ID Tropic Lightning Museum walked through the Schofield Barracks cemetery searching for the grave and found no marker for 2Lt Taylor. 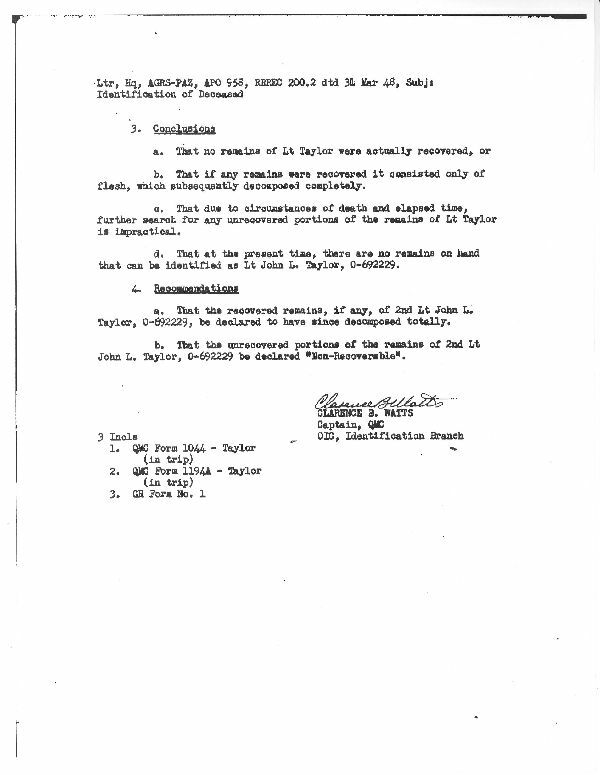 - Mr. Stewart at the Schofield Barracks Casualty Assistance Office confirmed from their records that no person named John Taylor is buried in the cemetery. - The VA Nationwide Gravesite Locator found no match for 2Lt John L. Taylor – see http://gravelocator.cem.va.gov/j2ee/servlet/NGL_v1. 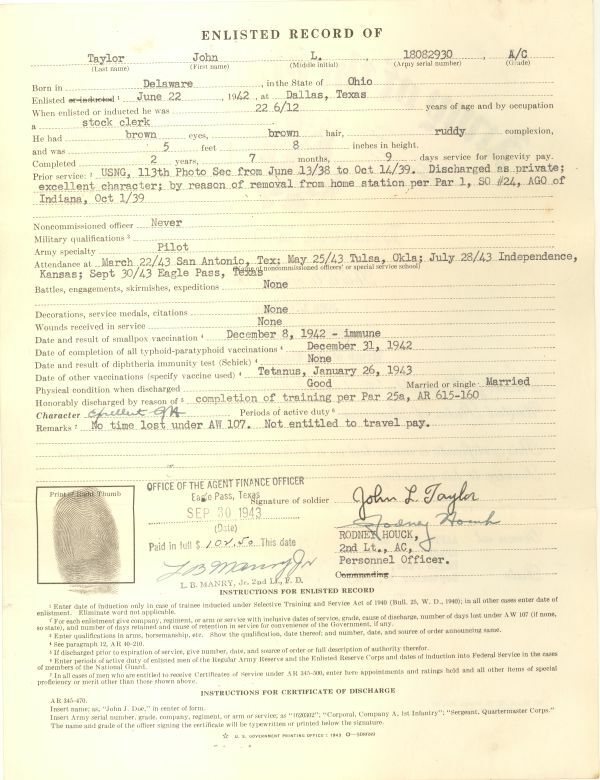 - The Defense Prisoner of War/Missing Personnel Office web site has a list of “Service Personnel Not Recovered Following World War II.” The list includes 2Lt John L Taylor with the matching service number and date of death. 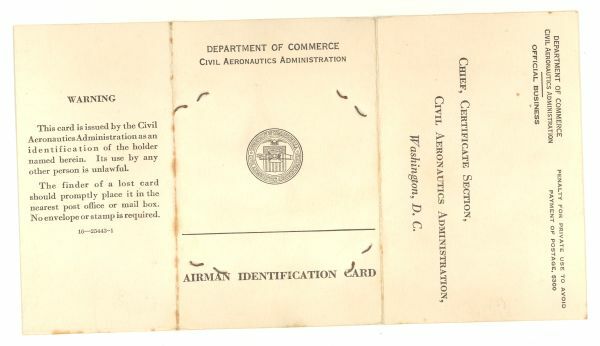 See http://www.dtic.mil/dpmo/WWII_MIA/AAF_M_T.HTM. Thanks for your help in this mystery. It is confusing because of the letters, yet the crash was 5 miles off-shore and it seems unlikely that the plane would have floated long enough to recover the body. 1. 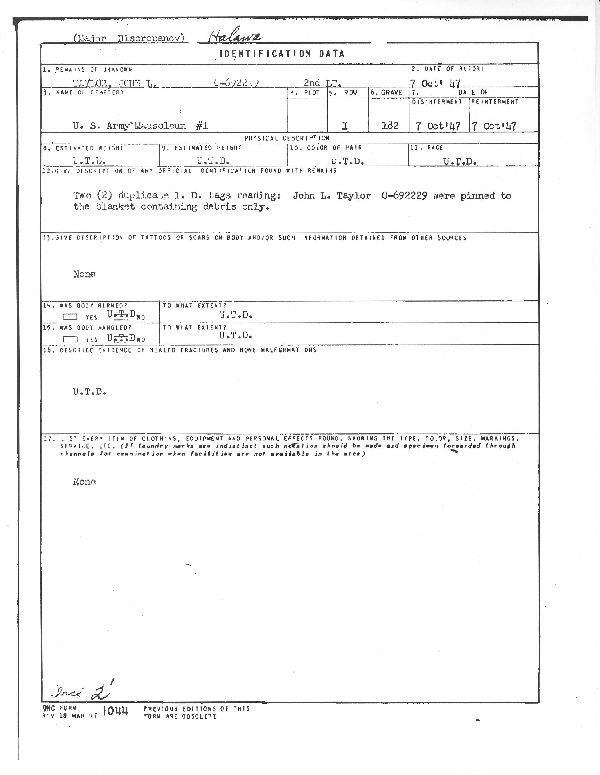 Official Telegram from War Department does not mention the body. Delivered 13 Jul 1944. 2. Letter from Squadron Flight Surgeon, Capt. Orien E. Dalton, dated 12 Jul 1944, says: "Services were conducted as he was laid away at the Schofield Barracks Cemetery. The services were of the rigid military type but in no way marred the anguish we all felt that afternoon." 3. 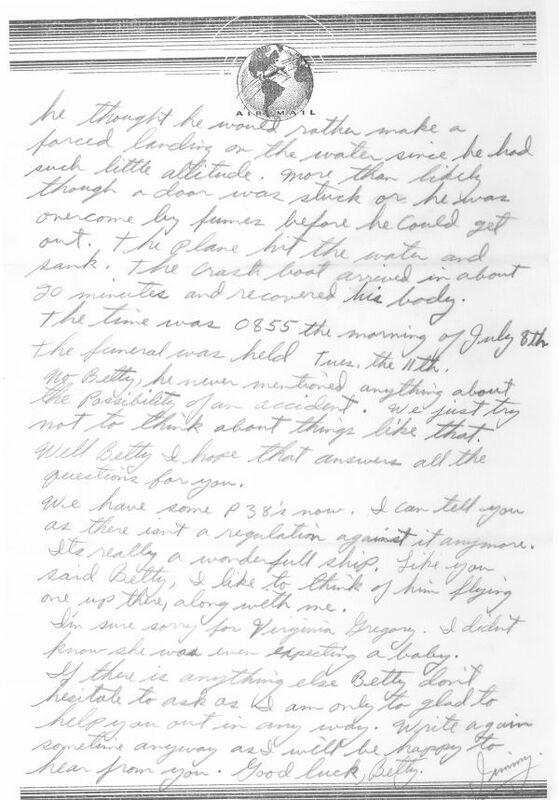 Letter from roommate, Lt. James S. Merritt, dated 23 Jul 1944 says: "The funeral was held at Schofield Cemetery. ... I will have the plot and grave number sent to you also as I am sure you want them." 4. 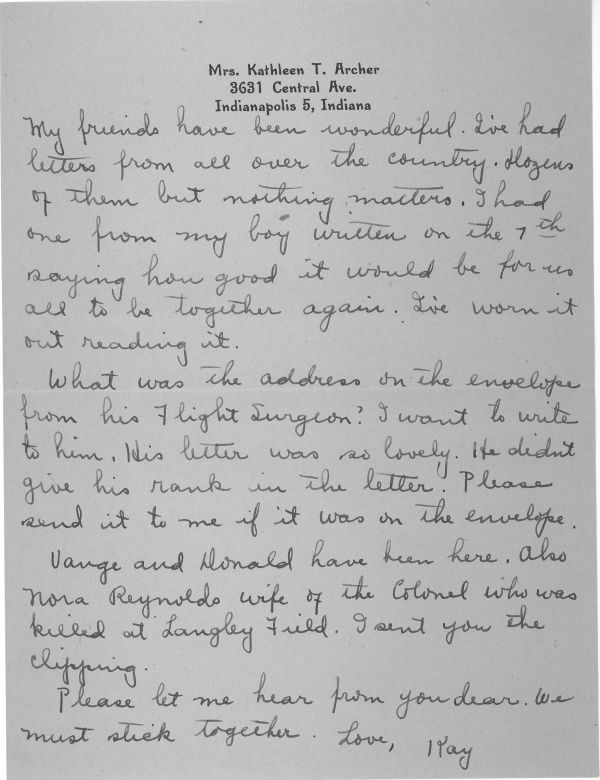 Letter from roommate, Lt. James S. Merritt, dated 17 Aug 1944 says: "The plane hit the water and sank. The crash boat arrived in about 20 minutes and recovered his body." 5. 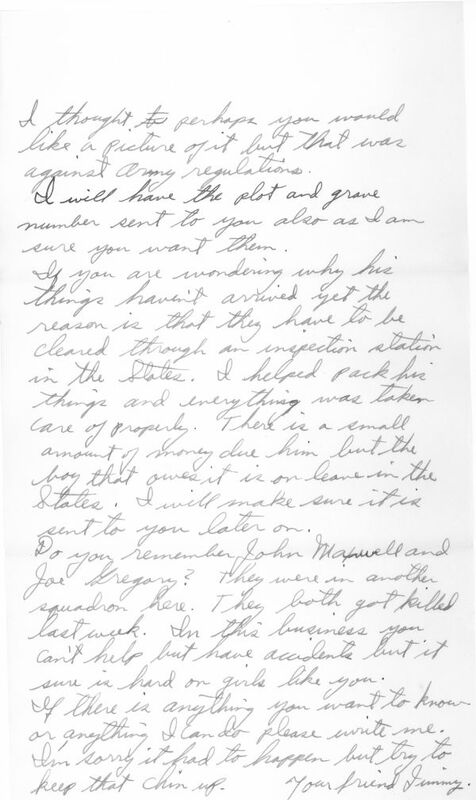 Letter from roommate, Lt. James S. Merritt, dated 18 Nov 1944 says: "To get the information as to the grave location, you will have to write to the Quartermaster General, Washington 25, DC." 6. 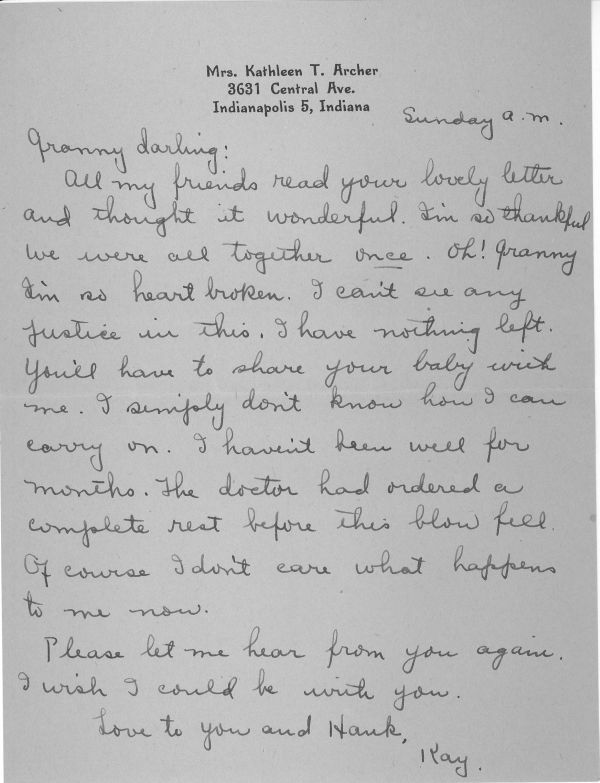 Letter from wife, Betty Frank Taylor, to Lt. James S. Merritt, 28 Apr 1945 says: "There are so many things that I would like to know and letters are so unsatisfactory. I never have gotten the grave location for instance." 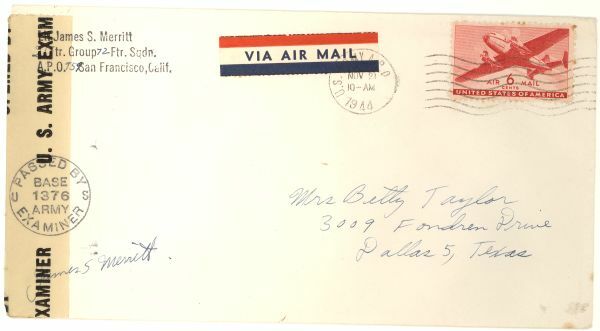 NOTE: this letter was returned to Betty Taylor because Lt. Merritt was killed in a training accident in December 1944. She must have gotten that information from the letter from the War Department. I do not have any letter that Betty may have received in response to her letter. 8. 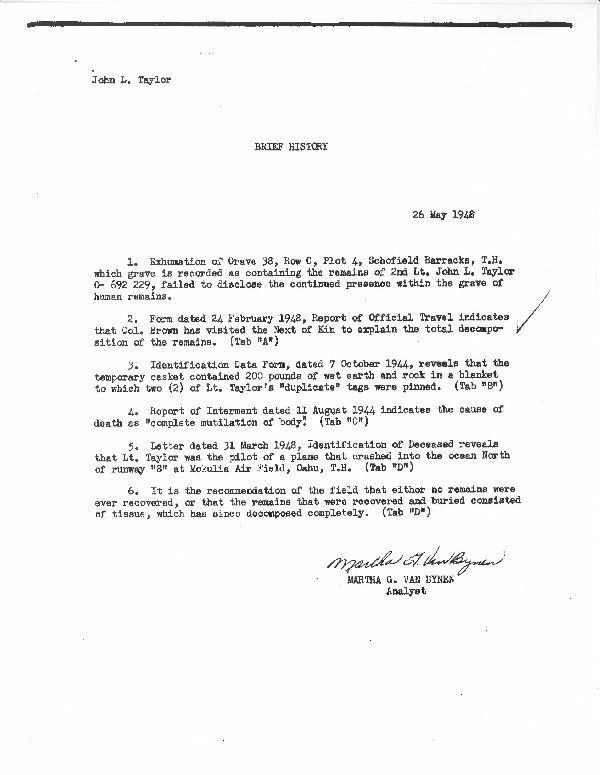 1953 letter from the Department of the Army "Official Statement of Death" does not mention the remains. That is the last letter that I have. Mark Stevens (see above emails) recommended that I attempt to get a copy of Jack's 293 file, the Individual Deceased Personnel File (IDPF). I made application via a Freedom of Information Act (FOIA) request in November of 2007. 11 Jul 1944 - There was a burial at Schofield Barracks, Plot 4, Row C, Grave 38, in 1944. Cause of death recorded as "Complete mutilation of body". Buried with identification tags. 27 May 1946- Betty was notified of that burial location. 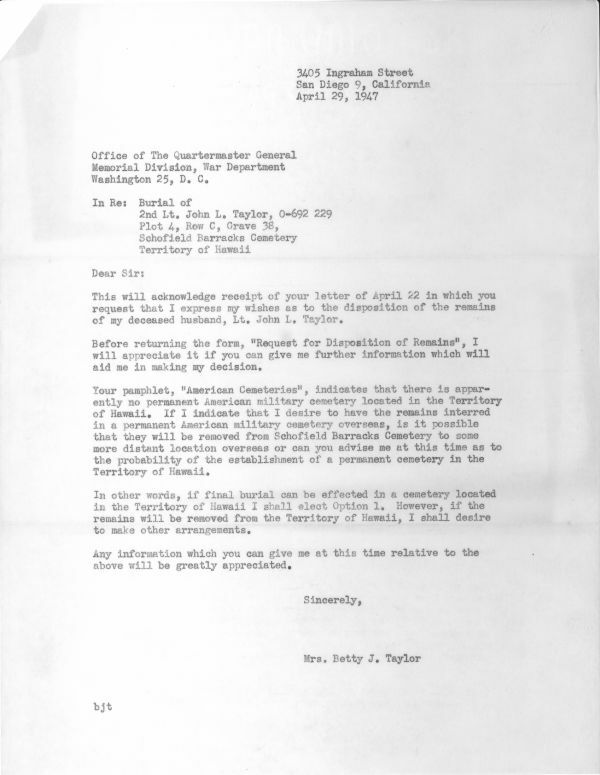 22 Apr 1947 and 20 Jun 1947 - When the letter asking about dispositon of remains came, Betty requested that he be permanently buried in the newly opened Punchbowl Crater National Cemetery. 7 Oct 1947 - When Jack was disinterred at the Schofield Barracks Cemetery, the casket contained only 200 pounds of dirt wrapped in a blacket to which were pinned two of Jack's dog tags. 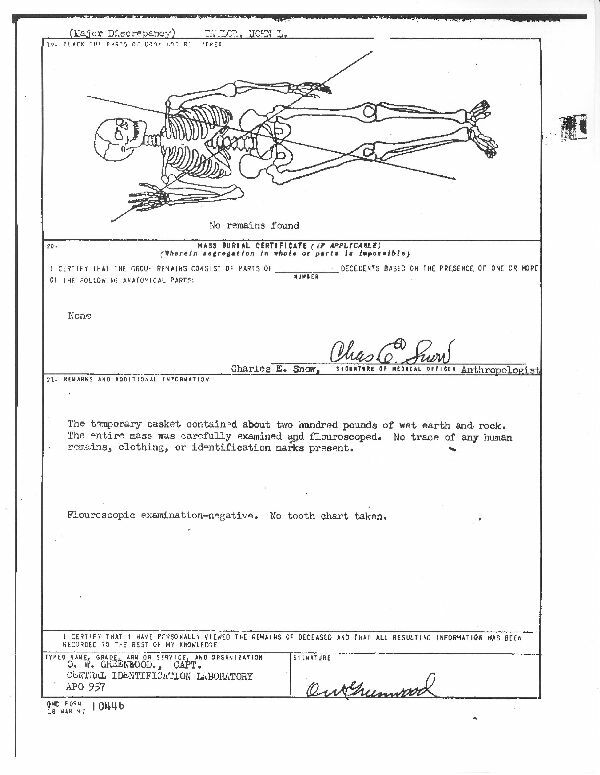 So when the burial record noted the cause of death as "Complete mutilation of body", that must have meant that after the plane exploded, there was nothing left of Jack's body. All that was buried were Jack's ID tags and 200 pounds of dirt. 24 Feb 1848 - Betty was notified of the result of the investigation. She was personally visited at her home in San Diego. 30 Apr 1951 - His name was then added to the list of non-recoverable remains and added to the Tablets of the Missing at Honolulu Memorial (http://www.findagrave.com/cgi-bin/fg.cgi?page=gr&GRid=56133291) .The cemetery's official name is National Memorial Cemetery of the Pacific at Punchbowl. 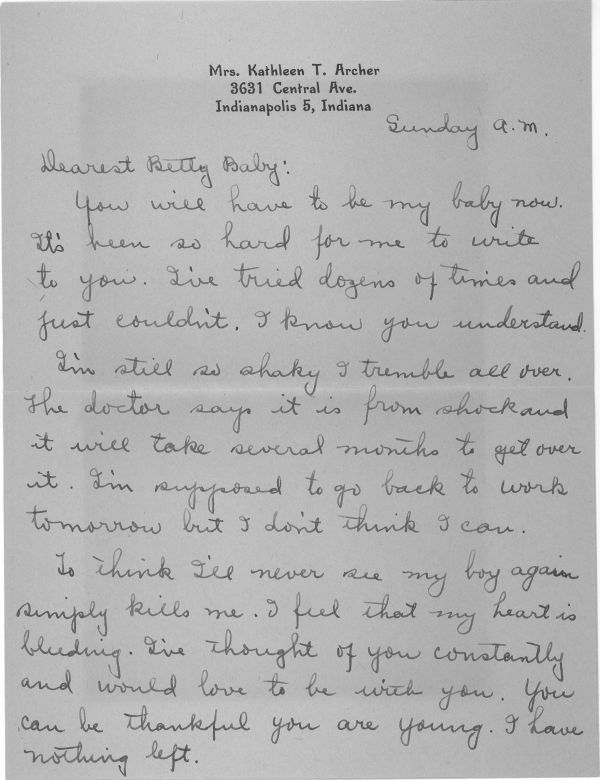 9 Mar 1952 - Letter above from Jack's aunt, Polly Darlington, where she said she would tell Jack's mother, Kathleen Archer: "So don't you worry, sometime I will tell her." - this must have not happened. 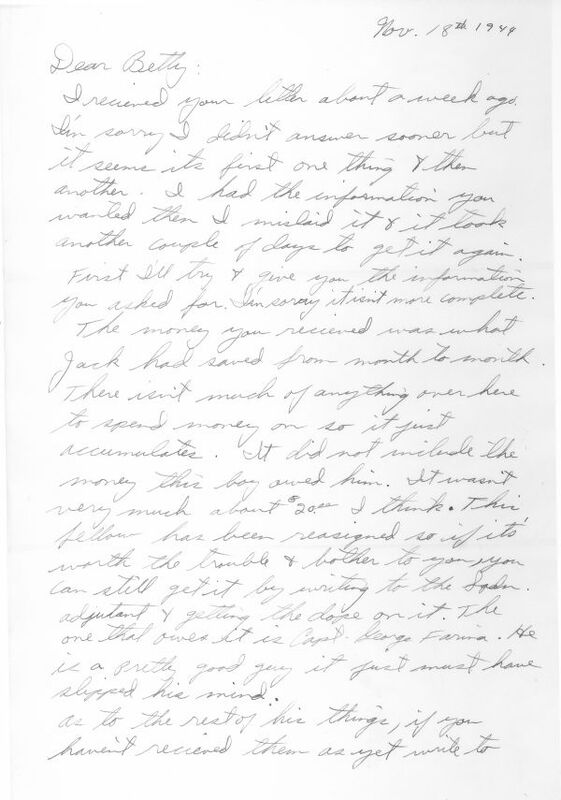 A series of letters between Kathleen and the Army in 1952 show that only then (after her inquiry) did she learn that Jack's body was not recovered. Polly Darlington must never have told her sister, Kay, about Jack's body. I wonder if that led to a rift between Kay and Betty? So the mystery is solved. There was a burial after his death but when it came time for permanent interment of his remains, there were none to be found. At that point, he was added to the list of non-recoverables and memorialized at the Punchbowl. 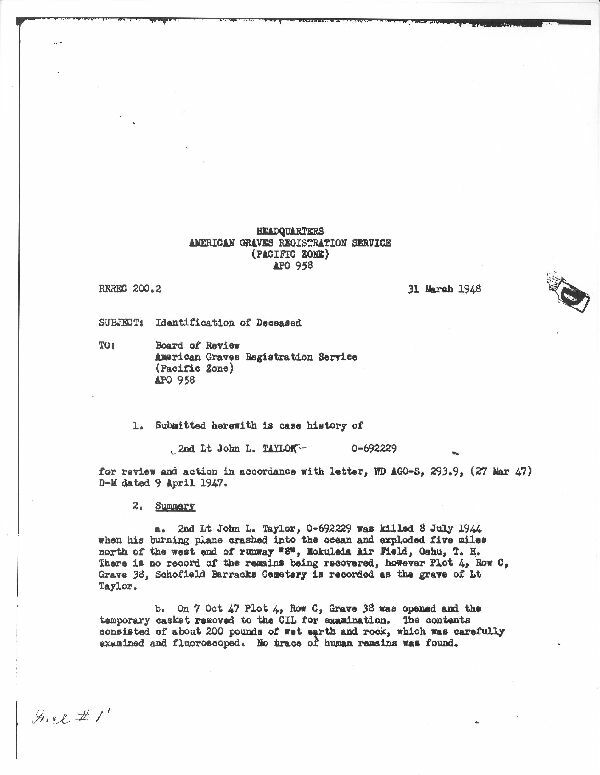 But, of course, there is a new mystery - why did the squadron leadership bury 200 pounds of dirt instead of admiting that Jack's body was completely lost? I will try to get a photo of Jack's name on the Tablets of the Missing. The plaque is located on the Wall "F" which is the 3rd wall on the right hand side. The plaque is facing west on the 4th row and is the 4th plaque from left to right. For a map of the memorial site look at : Location Map/Designators. 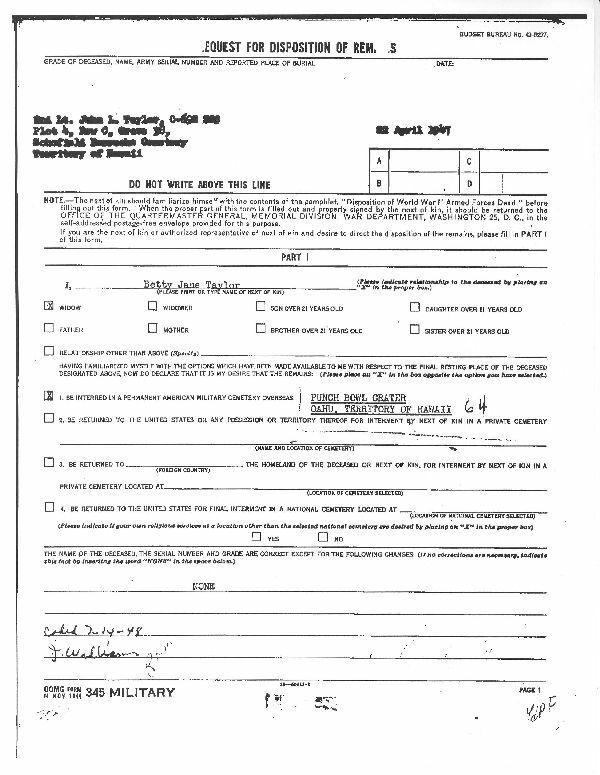 Kathleen Dowdell Taylor Archer - I found through Social Security records that Jack's mother, Kathleen Dowdell Taylor Archer ("Kay"), lived in the Chicago area at the time of her death in 1991. Kathleen Dowdell was born 17 Apr 1897 in Warrenton, MO. Her parents were Nathan Henry Dowdell and Julia Ann Lucas. 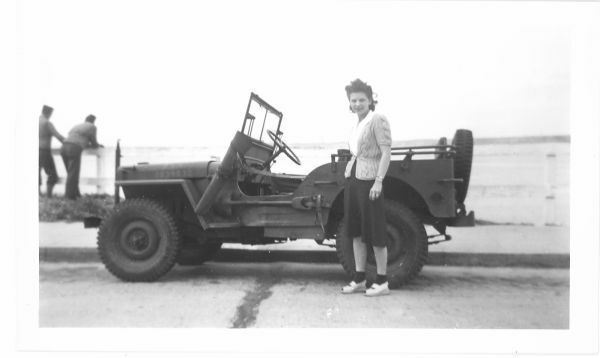 In 1942 when she registered for Social Security, she worked for the Selective Service Branch of the War Department in Indianapolis, IN. I don't know the first name of her second husband, Archer. She was remarried before Jack and Betty married in 1941. He is not identifed in any photos. I'm guessing that he died before 1941. 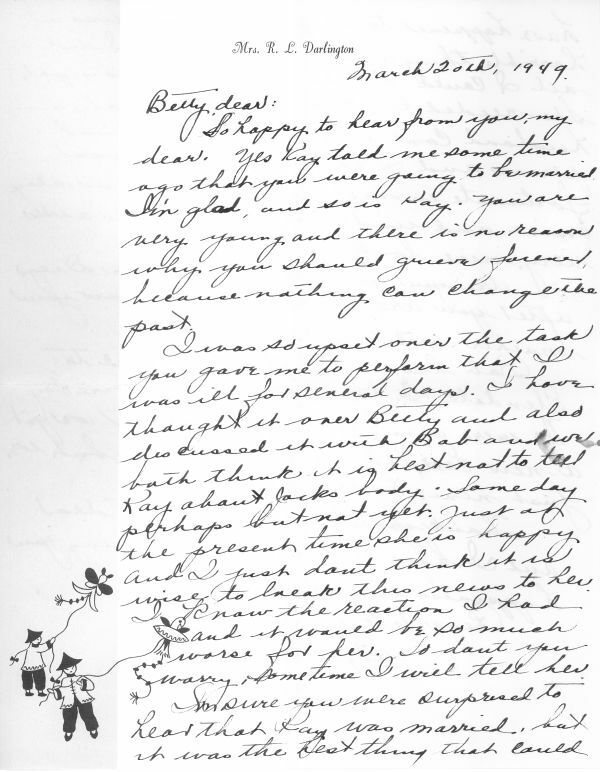 In a letter from 1949, Jack's aunt, Polly Darlington, refers to a recent marriage of Kay to man named "Lee". I know nothing about him. I've written letters to several Dowdell's and Archer's in the Chicago area but have not received any responses. Richard Fowler Taylor - Here is a family tree on ancestry.com: Richard Fowler Taylor. 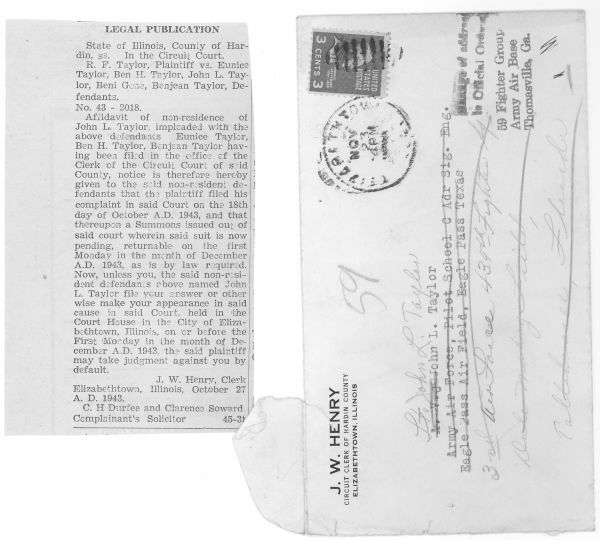 I found that Richard Taylor died on 9 Sep 1932 in Clinton, IN. I do not have any photos of him. Here is another family tree on ancestry.com which lists more details. Over the years, I've tried many times to locate a close relative (or actually any relative) of Jack. I've written letters to Dowdell's and Archer's in and around Chicago but have not had any response. As long ago as 2005, I knew that Jack's uncle, Ben Taylor, had a son named Jean B. Taylor. You can see in an article above that he was named in a lawsuit in the 1943. At least I thought it was a "he" even though several sources listed the name as Jean. I had also found Gene in the 1930 and 1940 census. In 1930, he was in Rock Creek, Hardin, IL. In 1940, he actually appears twice, in Elizabethtown, Hardin, IL (with his father and step-mother) and in Elgin, Kane, IL (with his mother). Over the years, I tried to find him with little luck. By this time, I was sure that he was a "he". Then in 2013, it occured to me to write a letter to the local Elizabethtown newspaper (The Hardin County Independent). I thought that maybe the editor would print the letter and someone would know of Jack. I sent the letter in early August of 2013. 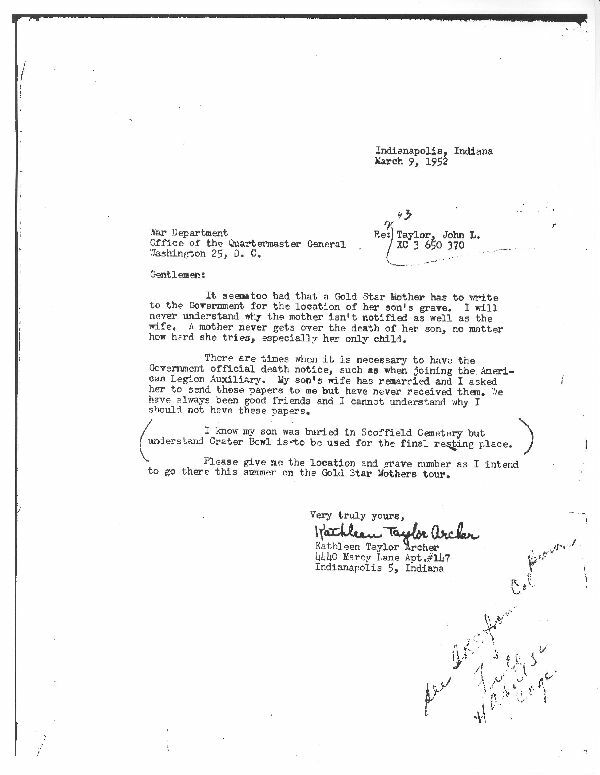 Within a week, the editor of the newspaper emailed me and she knew Gene Taylor, the son of Ben Taylor, and the grandson of Richard Fulkerson Taylor. She said Gene lived in AZ and still subscribed to the newspaper. She sent me his address and I wrote to him. A few weeks later, I received a phone call from Gene. He is Jack's one and only first cousin on the Taylor side. Neither Gene nor anyone in his family had seen my web page. 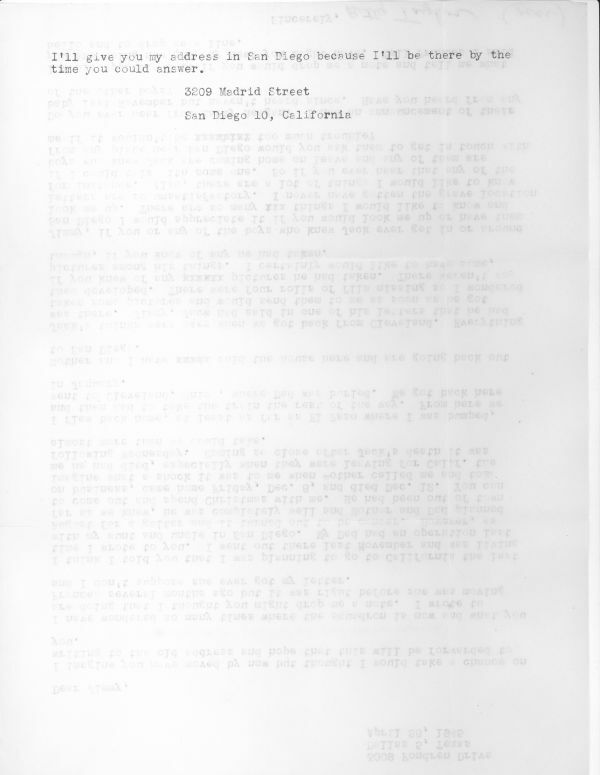 Since that phone call, Gene and I have met and I have given him the box of Jack's memorialbilia (consisting of all of the original documents that you see on this page and more). Gene's daughter lives near me in San Diego County and that is were we met in Sep of 2013. The meetings included a trip to the The Mount Soledad Memorial Monument to view Jack's memorial plaque. 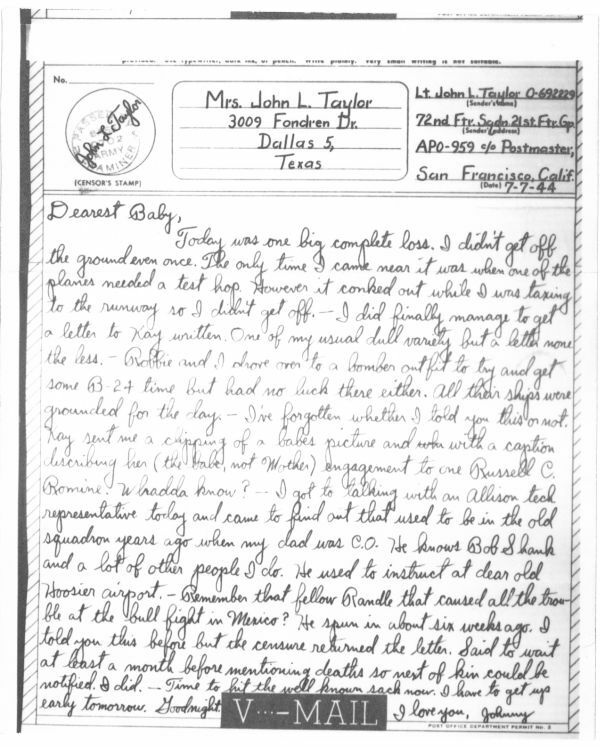 Gene prepared a family history of the Taylor family several years ago. He gave me a copy of that history. Here is a small portion of that history that talks about Jack's early life. Since Gene wrote this from 60 year old memories from when he was 12-14 years old, we have been able to correct some of the factual errors. Comments by me are marked by (#). The letter "L" was for John Nelson Ledbetter, Jack's great grandfather. 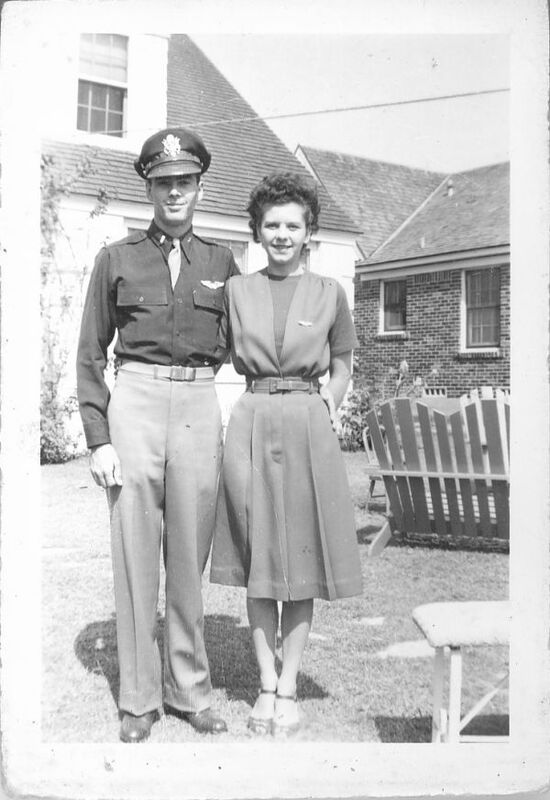 Jack was the son of Maj. Richard Fowler Taylor and Kathleen Hodges (1) and was born in 1920 in Indianapolis (2). He went to public schools in Indianapolis but after his father and an old friend from the 1st World War (his name was Capt. Fowler) started to build a small airport (9), Jack spent all his spare time at the airport. Jack would hang around the airport - did odd jobs for his Dad and soon wanted to fly. His Dad started to take him up in the plane whenever he could. When Jack was twelve years old, he had enough experience that he could take off and fly around the airport and land the plane again. Of course, those old planes were easy to fly and his father was with him in the other cockpit. Maj. Taylor and his partner, Capt. Fowler, had borrowed three-hundred thousand dollars and had mortgage insurance on the loan. They had built the airstrip, the hangers and bought several planes to start up the freight flying business. Maj. Taylor, who was still the commander of the 113th Air Squadron of the Air National Guard, was killed in a plane crash while on duty in Sept. 1932. Jack was only 12 years old. Kathleen and Jack kept their half of the airport down through the years, Kathleen worked in the office and kept the books and Jack learned everything he could about the airport. 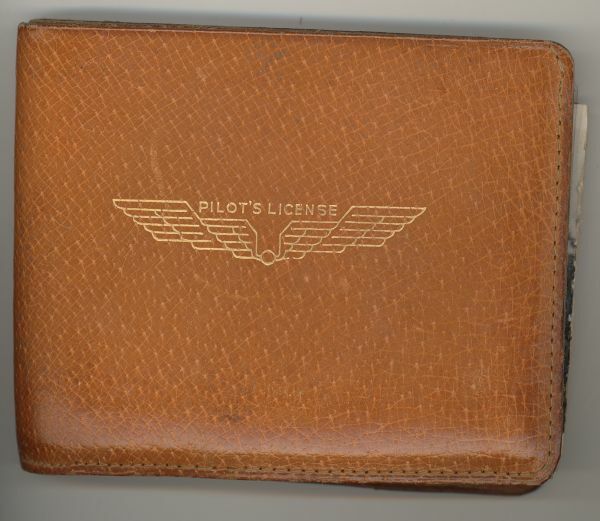 When Jack was old enough, he got his pilot's license and started flying freight with the other pilots. 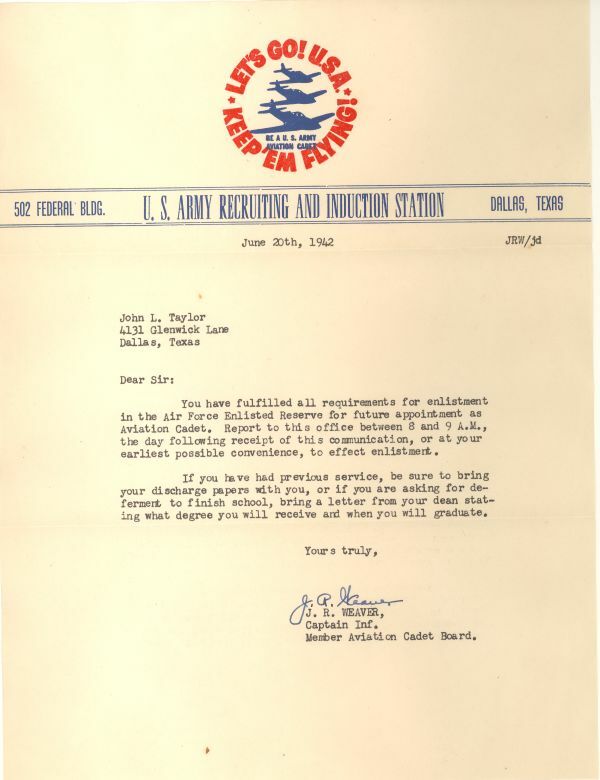 He then enlisted in the 113th Air National Guard. The very same squadron that his Father had been the commander of before he was killed. 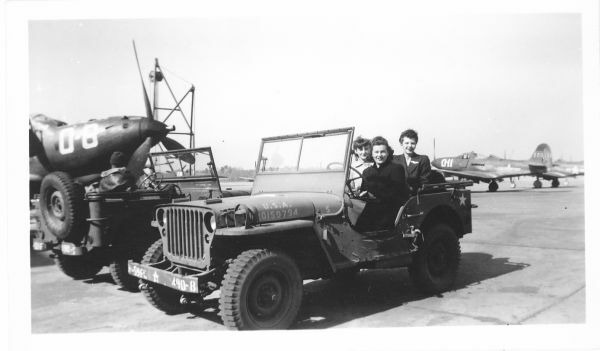 When World War 2 started, Jack stayed in the 113th Squadron of the Air Guard. Jack, in 1938, had enrolled in school at Purdue University to study Aeronautical Engineering. He had a car and drove from Purdue back to Indianapolis almost every weekend to work at the airport and serve on the 113th Air Guard. 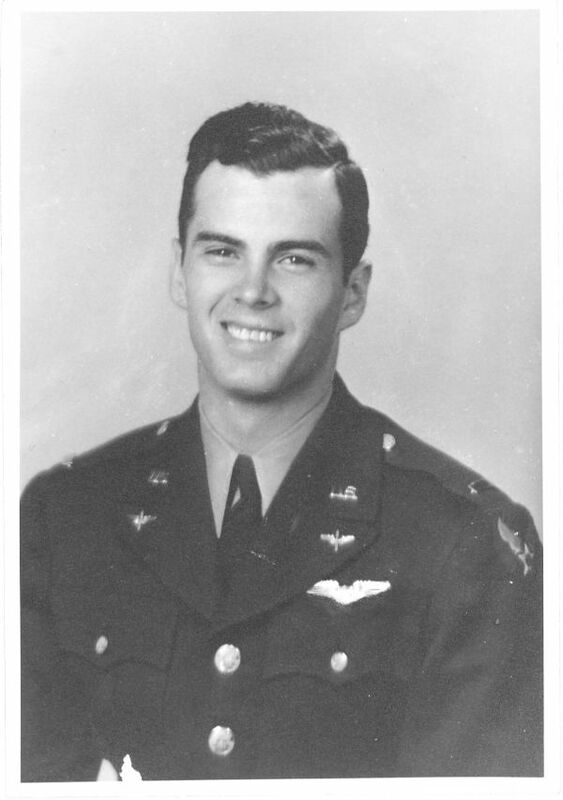 In 1942 (10), Jack left the university and went to the Ryan School of Aeronautics in San Diego, CA. His mother, Kathleen, sold the airport around 1940. From the time Jack had a car, he would drive from Indianapolis every summer to Elizabethtown to see his grandfather Taylor. During the day, Jack and my Father, Ben Taylor, would go up to a lake that had a nice beach with some piers and rafts. My Dad was a great swimmer - I was a good swimmer and so was Jack and we would lay around on the beaches and race back forth to the rafts. They were wonderful times. In the evenings, my grandfather had a cook who would prepare dinner for us as night. We would sit around the evening table for a few hours and then go the living room and talk about world affairs and all kinds of things until late in the night. We talked about our family, Jack's father, our great grandfather (James Pinkney Taylor), Aaron Taylor (our great-great-grandfather). My grandfather Taylor, my Dad and Jack would do all the talking and I would just sit around and listen. I knew that this was my family and I was a part of something really great. Those summer trips that Jack made lasted four or five years. The summer of 1942, Jack bought a new plane, I think it was a Piper Cub. He landed the plane at a little airport in Rosiclare. We always had wonderful times. Jack was a very happy, outgoing and exciting person to be with. He flew back again in 1943 and in early 1944. When he flew in in 1944, be brought his new wife, Betty (3). They had just gotten married and everyone loved her. They had only two or three days and Jack had to report back for duty. Jack had been trained to fly the P-39 fighter plane and he was now starting to train on the P-38 Lightning. The P-39 was called the "Bell Airacobra". The P-38 was a twin engine fighter and the fastest fighter at that time, and Jack loved it. 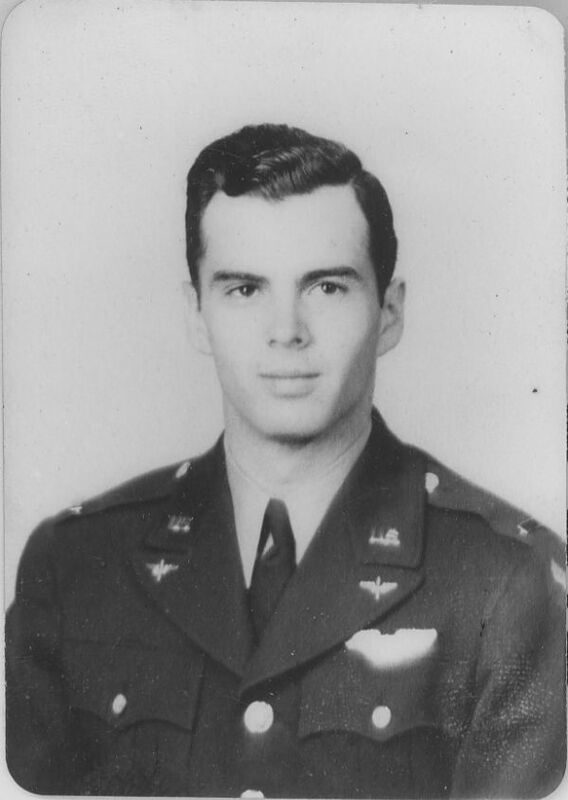 In July 1945 (4) , he was flying with four or five other P-38's over the South Pacific when one engine of Jack's plane caught on fire and exploded. The pilots in the other P-38's saw Jack's plane plunge into the South Pacific. Jack never bailed out. Later, Navy boats were called in but neither Jack's plane or Jack were ever found. Jack's mother would often come to Elizabethtown when Jack would drive his car but she never came when he flew his plane. My Aunt Kathleen had lost her husband Major Richard Taylor who was killed in a plane crash in 1932. Her brother was killed over Germany in a bombing raid in 1944 (5). Now her son Jack was gone in July 1945 (6). There is a memorial grave for Jack Taylor in the Elizabethtown Methodist Cemetery next to his Father and his grandparents and all the rest of the Taylor family. My grandfather handed me a letter that said that my cousin, Jack Taylor, who was a P-38 fighter pilot (7) in the U.S. Air Force was killed over the South Pacific. My grandfather sat for weeks and barely talked to anyone. What a terrible price so many men had to pay. The war was all but over now (8). When Jack was a member of the 113th Observation Squadron, Indiana National Guard during 1941 and 1942, he had flown the P-40 Warhawk and the newer P-51 Mustang before he went into the Air Force (7). (1) Kathleen's maiden name was Dowdell. 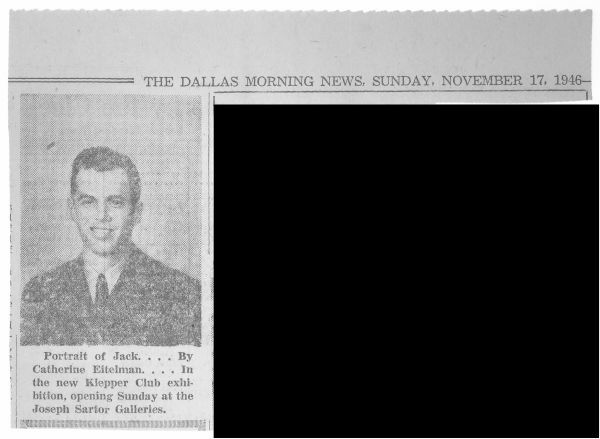 (2) Jack was born 20 Nov 1919 in Delaware, OH. (3) Jack and Betty were married 30 Mar 1941. (4) (6) Jack was killed on 8 Jul 1944 flying a P-39Q out of Mokuleia Air Field, Territory of Hawaii. (5) We have found out that the brother, Frank Edward Dowdell, was captured and killed in Nicaragua in 1927 after his plane crashed. Read more about this below. (7) All of the photos that I've seen show Jack with a P-39. See additional notes below about the 72th Fighter Squadron. 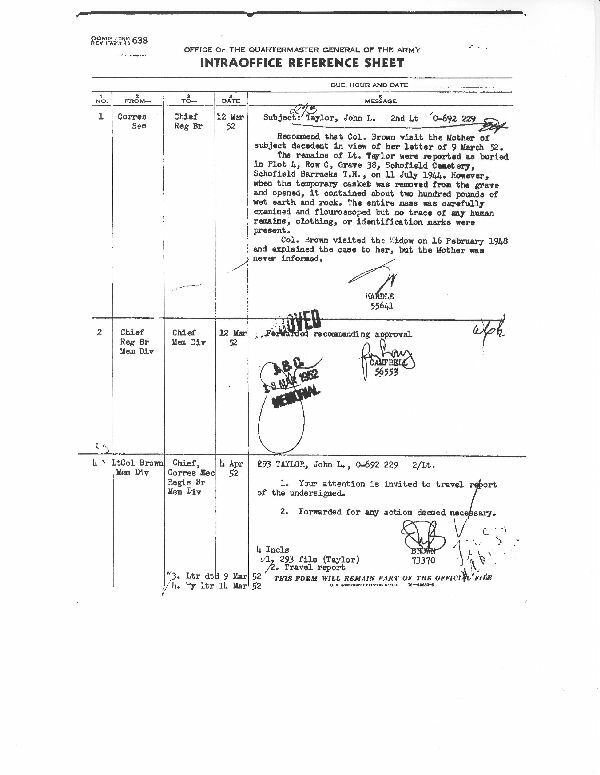 (8) Gene thought Jack was killed in 1945 just before Japan surrendered but it actually was in 1944, a year earlier. 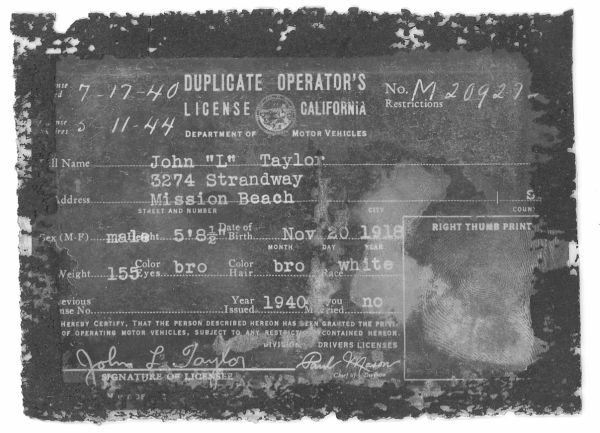 (10) In Jack's stuff, there was a CA drivers license dated 17 Jul 1940 so that is probably when he transferred to Ryan in San Diego. "The 113th Observation Squadron performed "aerial surveillance of labor troubles during a coal miners' strike at the Dixie Bee Mine August-October 1932". The Dixie Bee Mine is in Terra Haute, IN." Findagrave "Major Richard Fowler Taylor", Burial 13 Sep 1932. Gene Taylor told me a story about a brother of Jack's mother, Kathleen Dowell, being killed sometime in the 1920's. I had already found the names of the 6 siblings of Kathleen so I searched more closely for any information about her brothers. 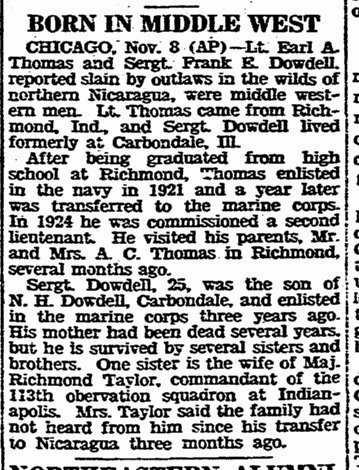 I found that Jack's uncle, Frank Edward Dowdell, was killed in US action in Nicaragua in 1927. Findagrave - Frank Dowdell - I believe that this is a memorial only as his body was never recovered. The 21st Fighter Group (FG), activated on 21 April 1944 at Wheeler Air Field in what was then the Territory of Hawaii. Assigned to VII Fighter Command, the group consisted of the 46th, 72nd and 531st Fighter Squadrons. Over the next two months, the group trained on its first aircraft type, the P-39Q Airacobra. The 21st provided air defense over the Hawaiian Islands from July 1944, then began upgrading into the P-38J/L Lightning in September. By the end of October, rumors filled the air that the group soon would upgrade airframes again, this time to the P-51 Mustang. This change in aircraft heralded a new mission for the 21st FG. At the completion of the Gilberts/Marshalls Campaign the 72nd F. S. was transferred to the newly activated 21st Fighter Group to prepare for the job of escorting the B-29s over Japan.